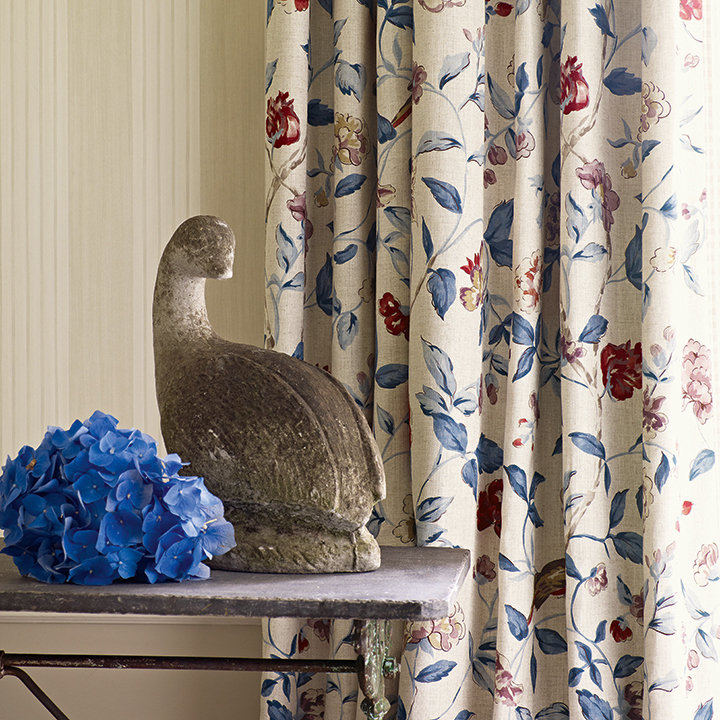 Sanderson are perhaps one of the most well known, encompassing fabric companies in the UK. 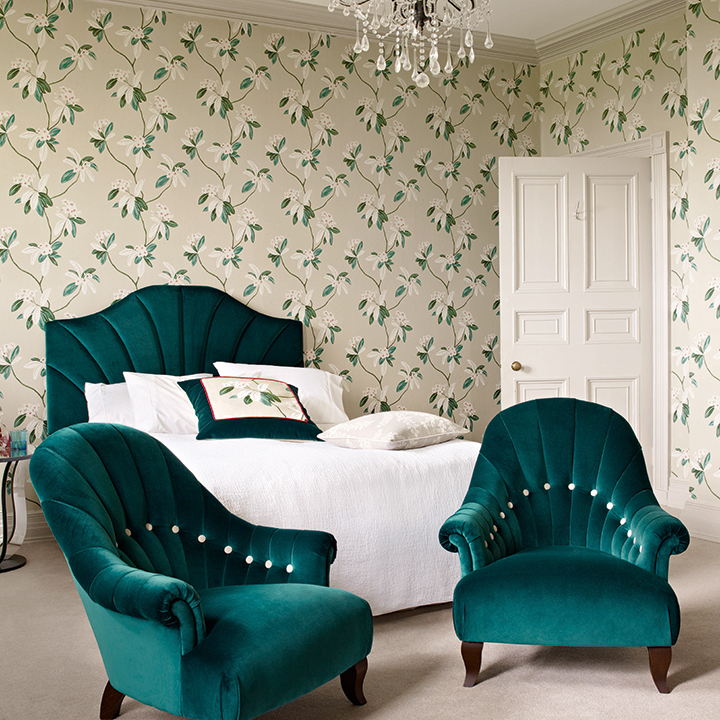 Founded in 1860 by Arthur Sanderson, Sanderson is the oldest surviving English brand in its field. 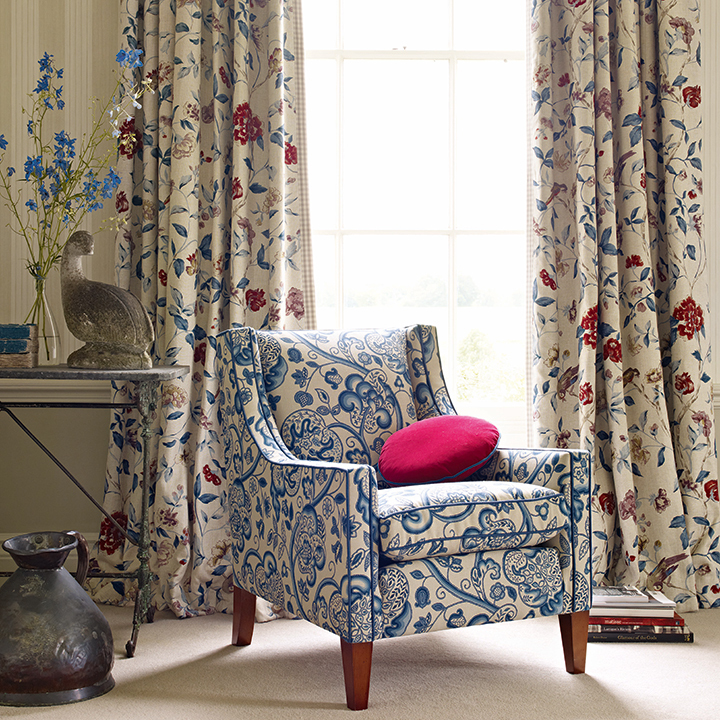 Sanderson is one of the largest design houses in the world and is known for its traditional, quintessentially ‘English’ style. 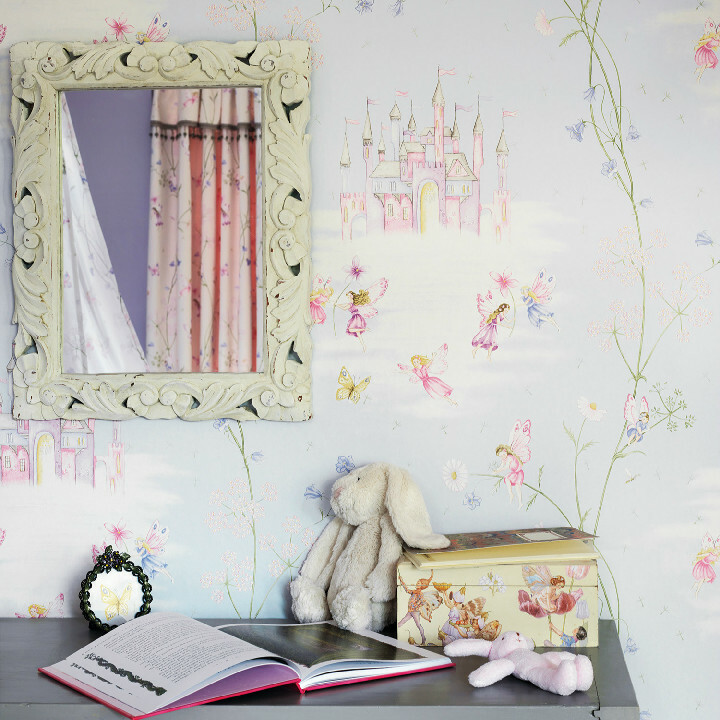 We stock both Sanderson wallpaper and Sanderson fabrics, from pretty feminine florals to bold and inspirational patterns. 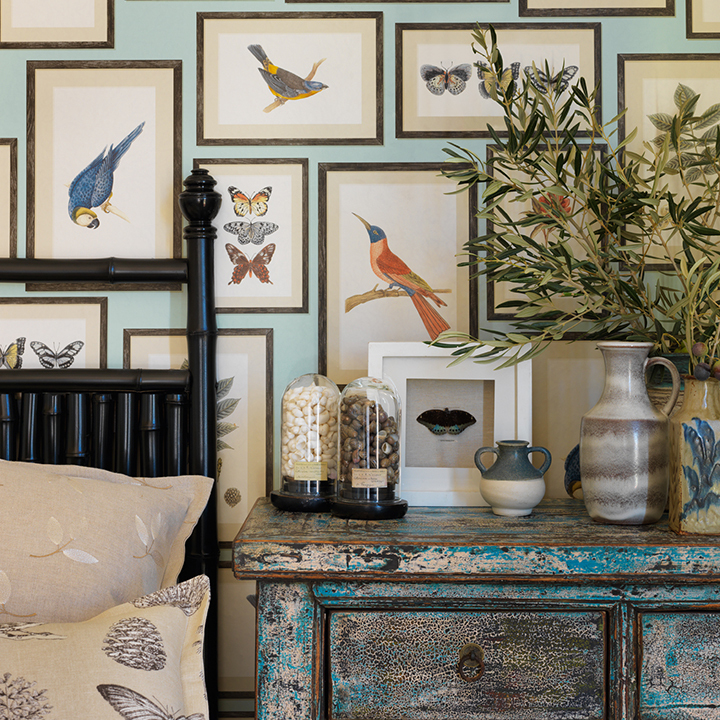 Due to the demand for affordable furnishings, Sanderson created the Sanderson HOME range. 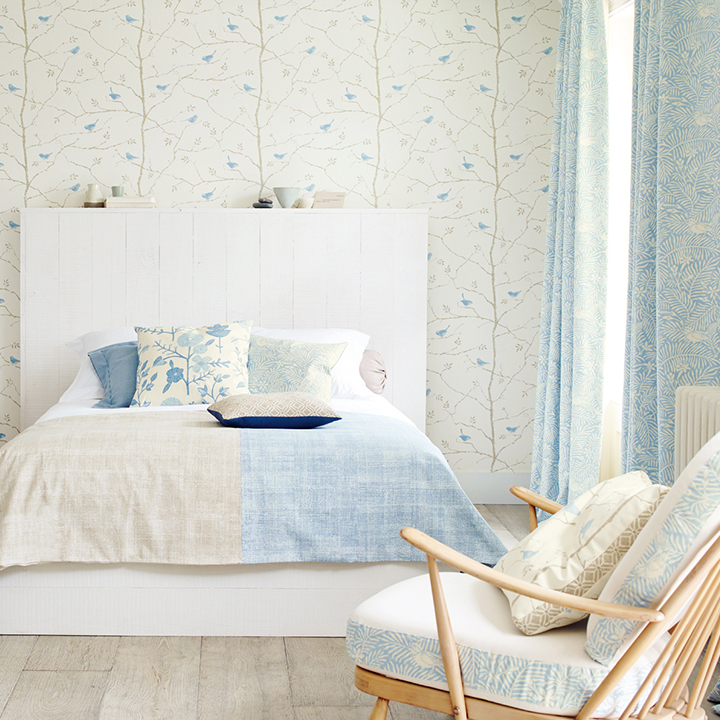 We stock both Sanderson HOME fabric and Sanderson HOME wallpaper for the design-conscious. 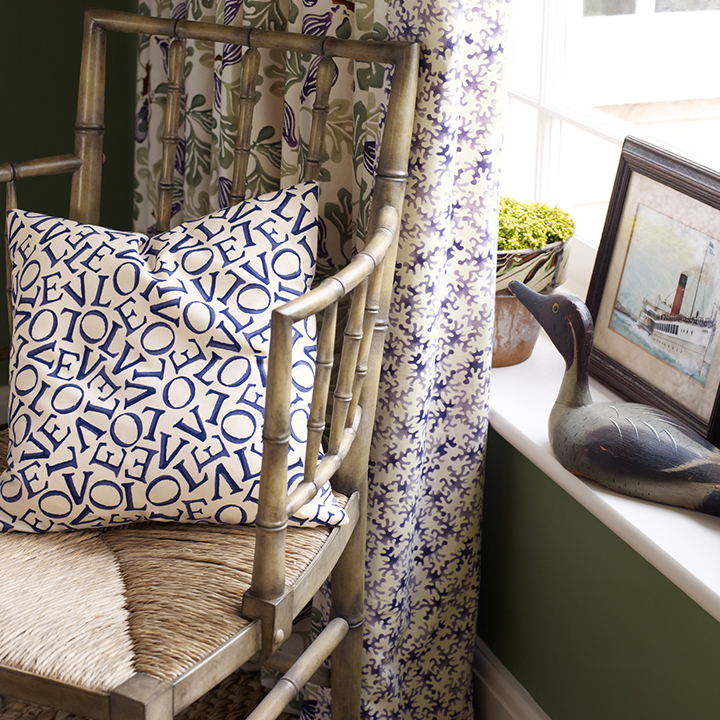 Captivated by the vintage vibe in the air, the Sanderson studio have delved into the archive to create a collection of twelve favorite patterns from the early to mid-20th century, bringing them back to life so that they can be used in fresh and original ways in contemporary interiors. 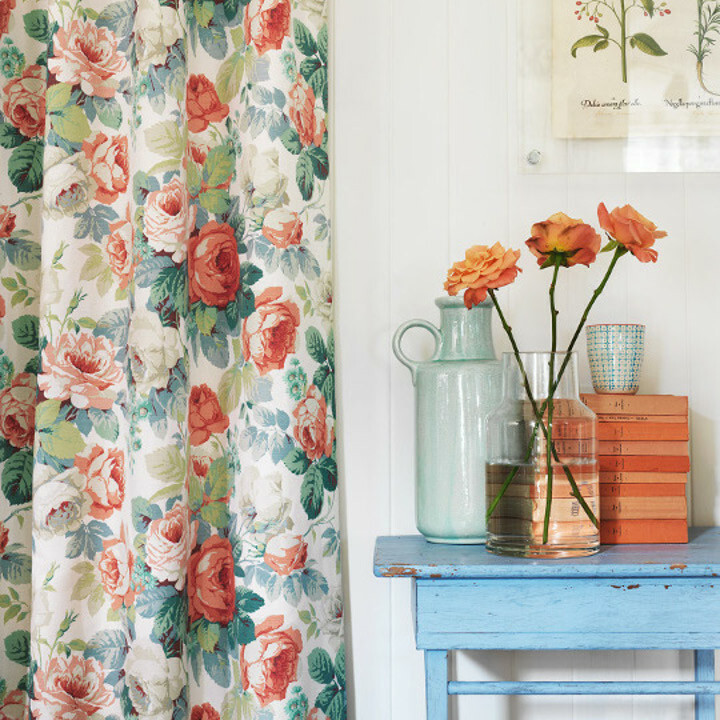 This collection of fabric and wallpaper is an unforgettable eclectic mix of cottage florals and whimsical patterns in bright beautiful colours. 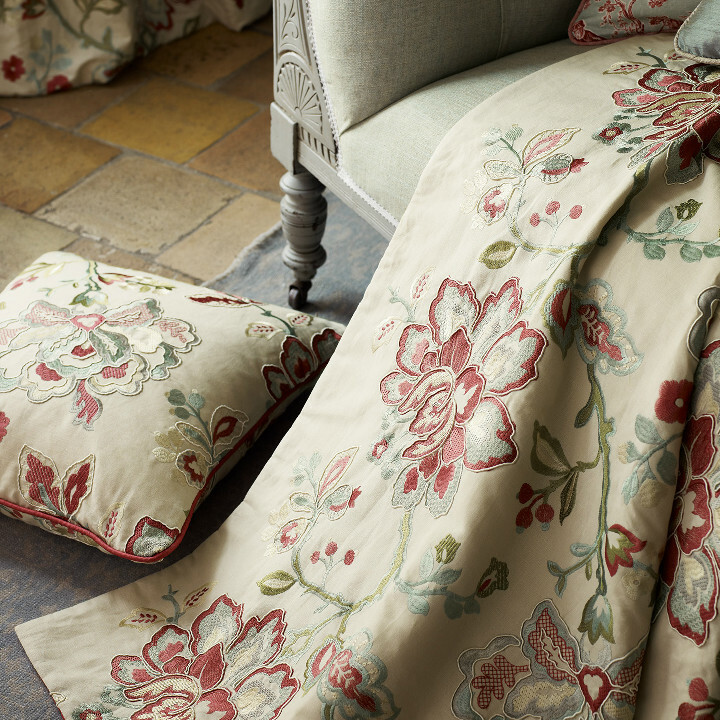 Fabienne is inspired by relaxed, classic French interiors made up of inherited patterns and rich furnishings, worn over time. 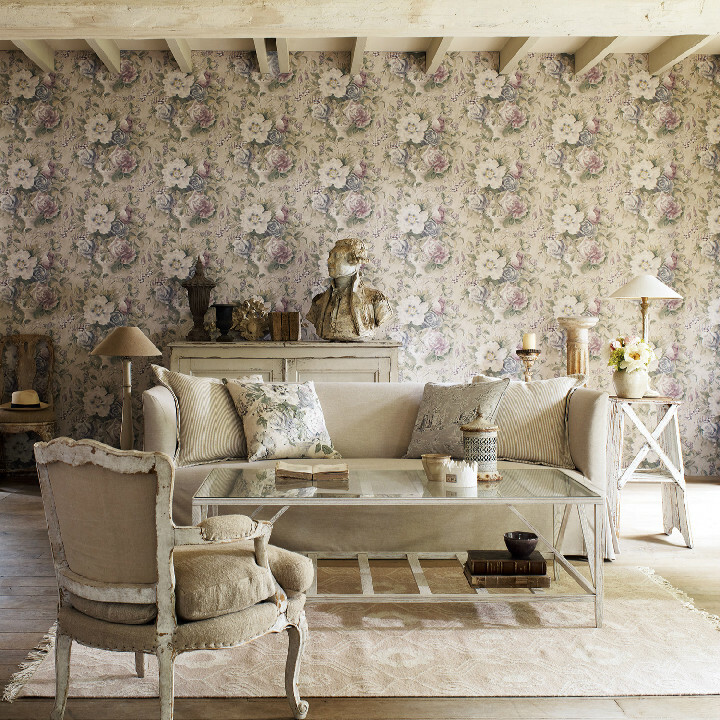 The collection conjures up the faded elegance of French chateaux and the charm of rustic country manors. 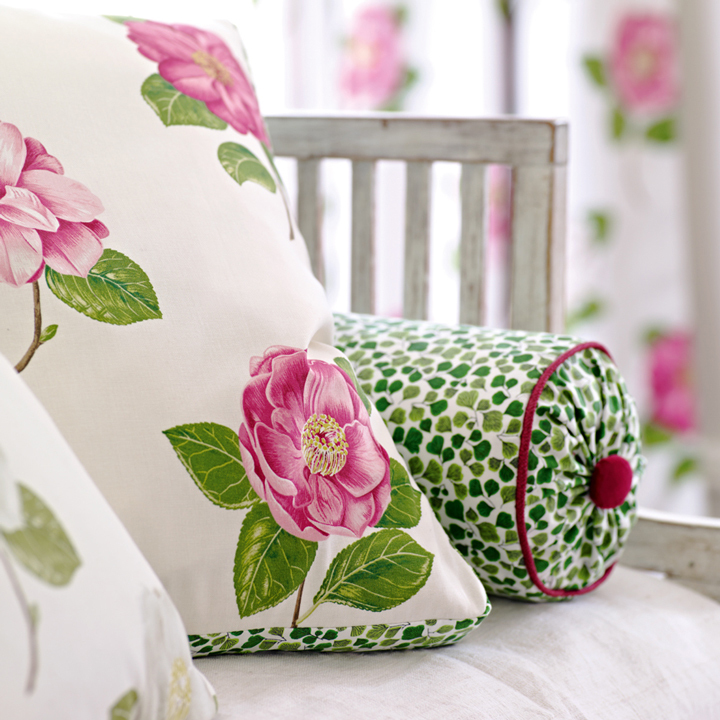 Fresh and airy, this collection of floral and geometric prints evokes feelings of tranquility. 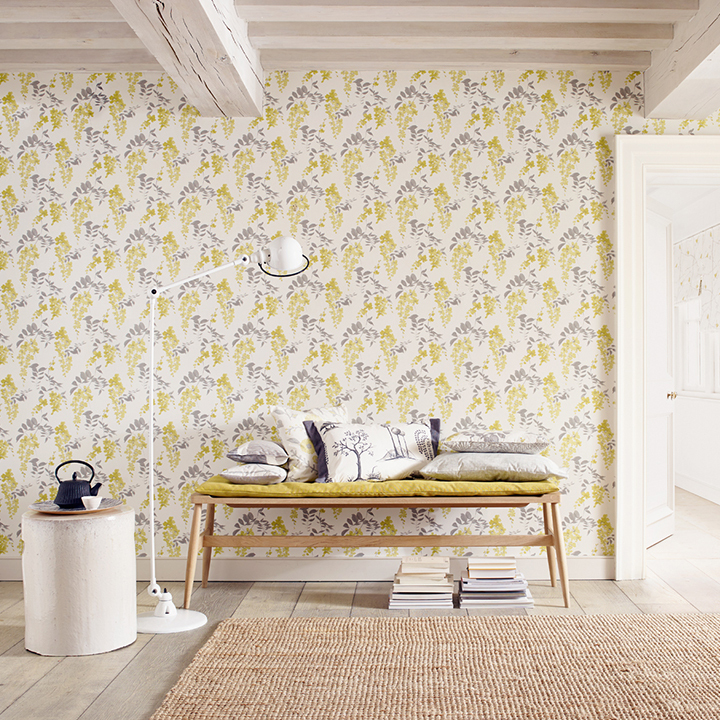 Consisting of printed fabric and wall coverings, Chika features classic floral and palm frond motifs with a modern twist in soft colours that would work really well with silver and greys. 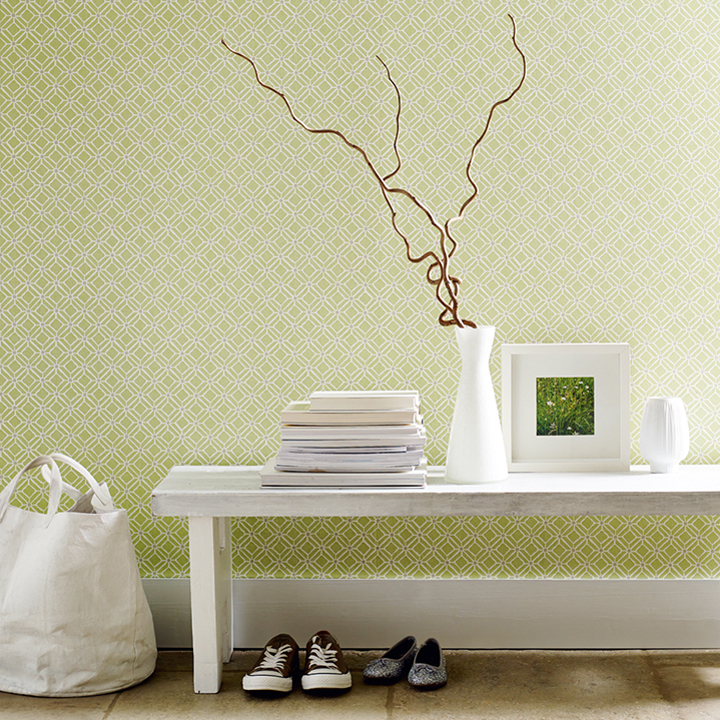 We love the subtly textured look of the Washi wall covering. 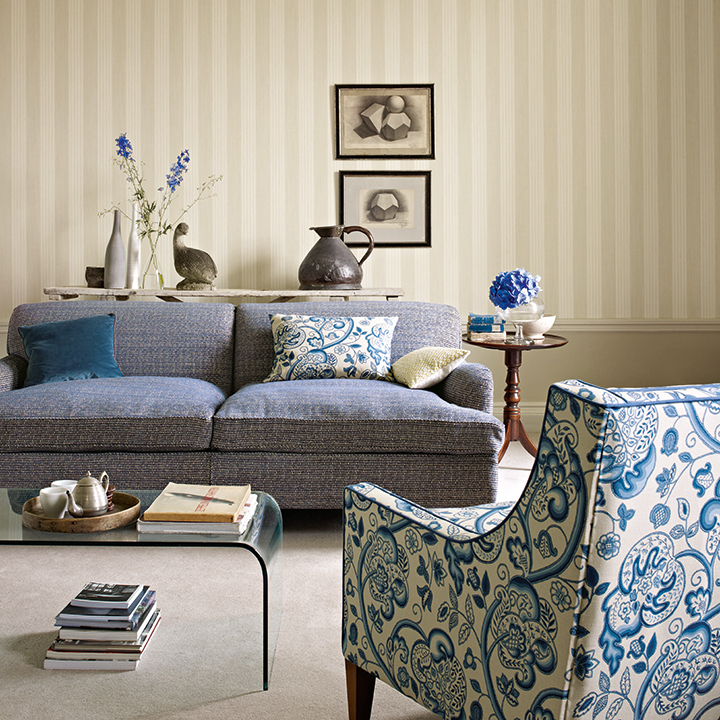 Aegean is an exquisite collection of prints, weaves, embroideries, vinyl wall coverings and velvets featuring a fusion of soft mineral colours and a subtle oriental influence with hints of the sea, fossils and florals mixed in. 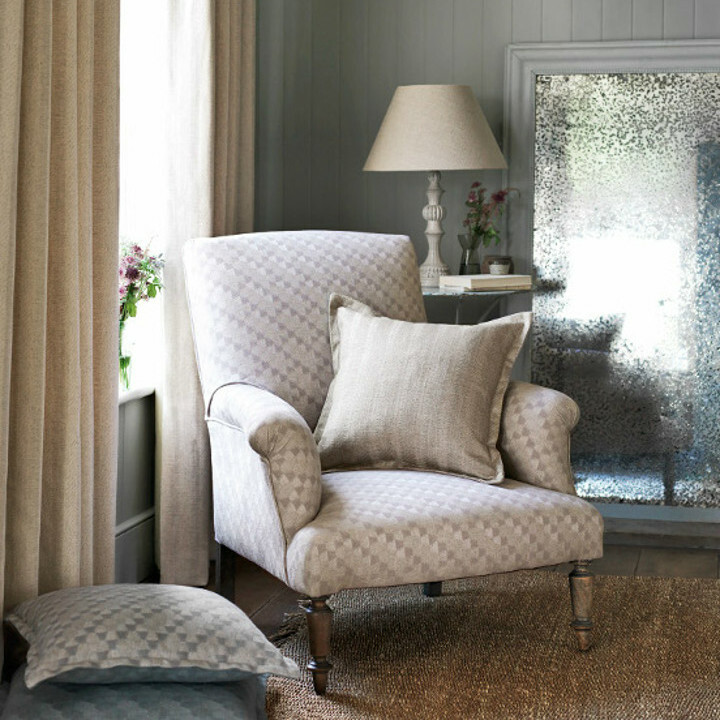 The prints are really feminine and contemporary with a distinctly natural, calming feel to them and subtle hints of texture and metallics. 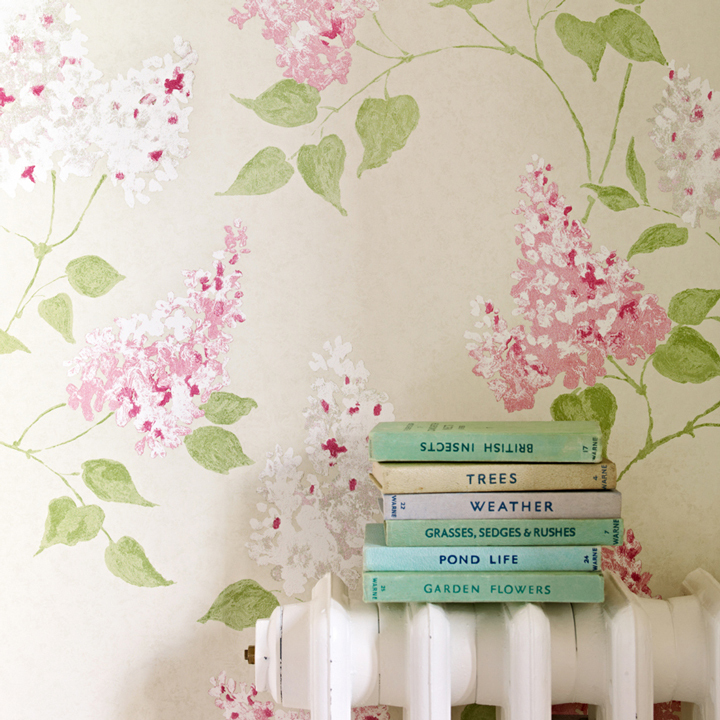 Emma Bridgewater has teamed up with Sanderson to recreate some of her most popular designs in fabric and wallcovering form. 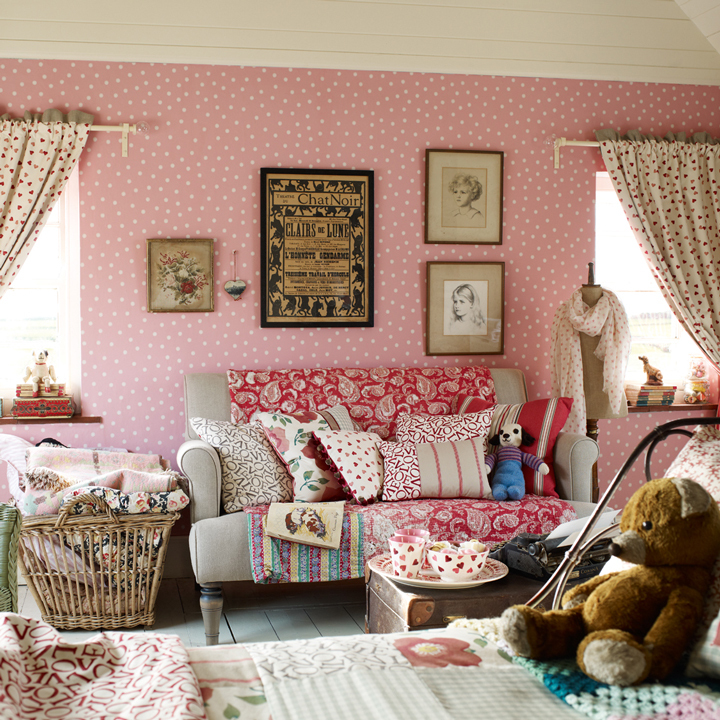 The printed fabric range includes the classic Polka dot and Pink Hearts designs and really captures the essence of the earthenware. 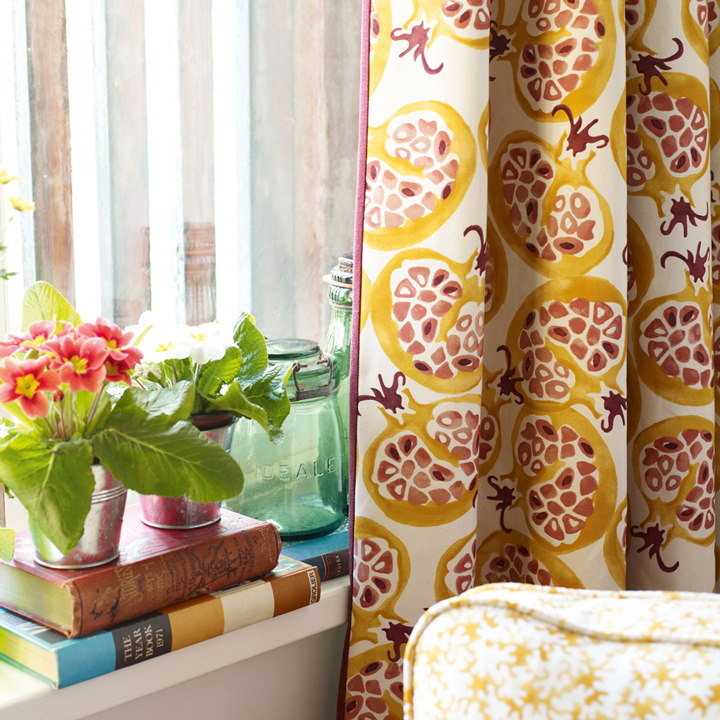 These classic prints would look amazing on a Roman blind and are also suitable for upholstery. 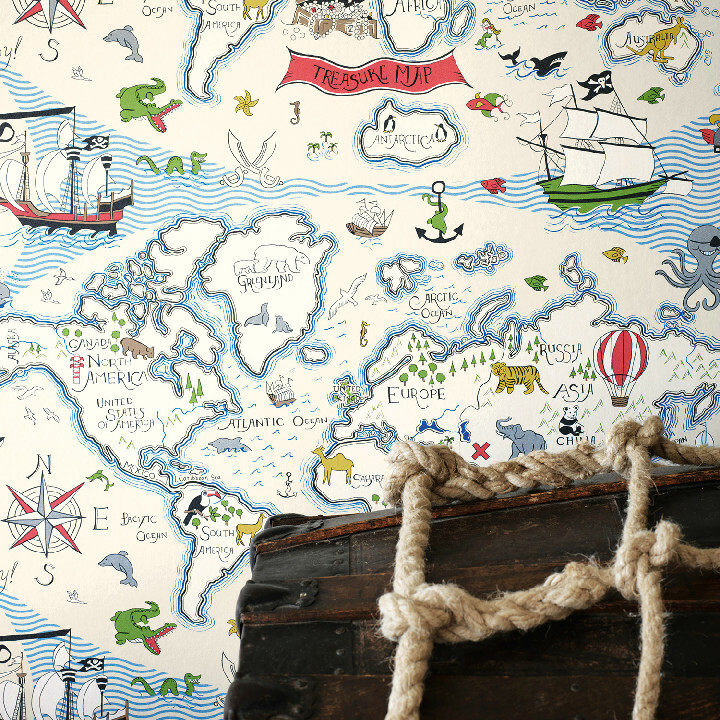 ’Voyage of Discovery’ pays homage to our pioneering ancestors, from the natural historians of the 17th century who beautifully illustrated their scientific discoveries, to the leisure traveller of the later Victorian era who collected memoirs of their journeys with which to decorate their homes. These images still excite us today and evoke a sense of adventure and freedom. 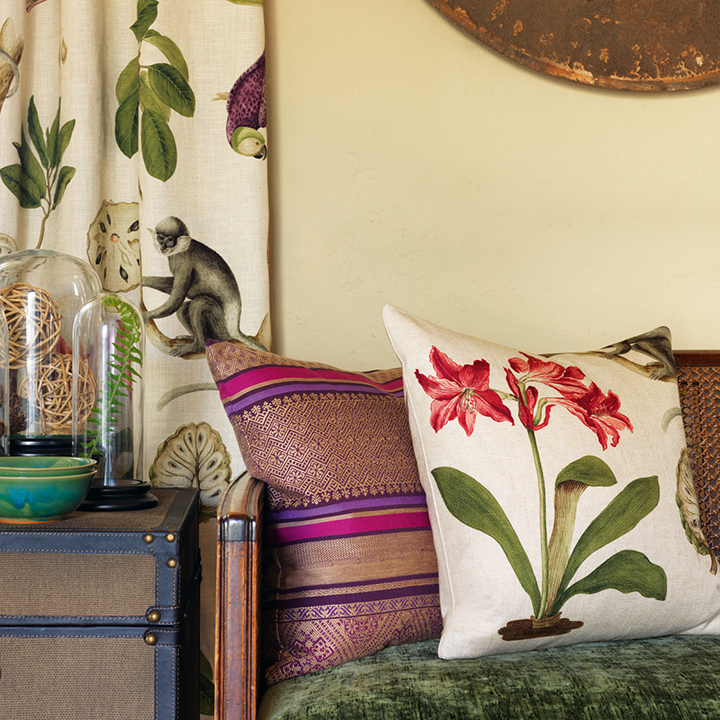 This particular voyage leads us through the Caribbean and South America; an exploration of the exotic colours found naturally in the flora and fauna of the southern hemisphere. 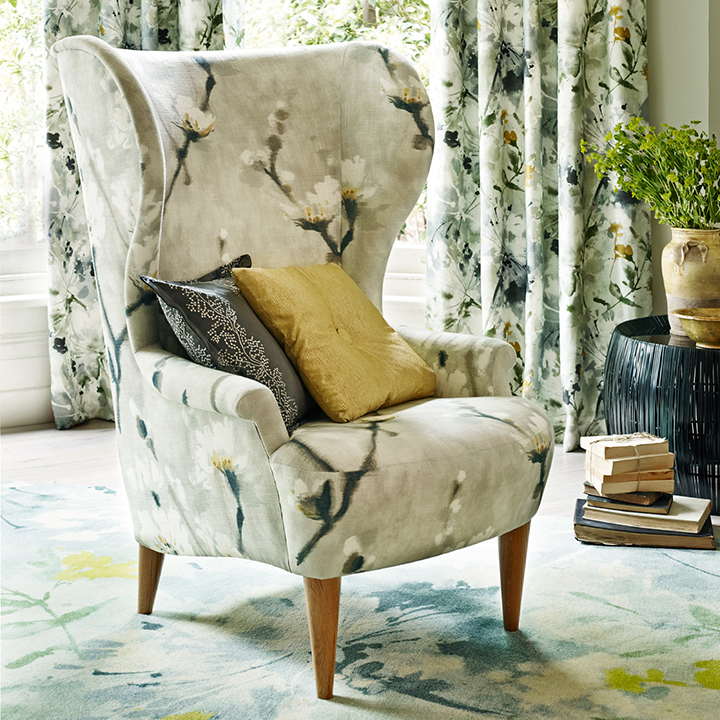 The very first Sanderson HOME collection, Maycott, is made up of a selection of eight very traditional designs inspired by botanical drawings from the Sanderson archives. 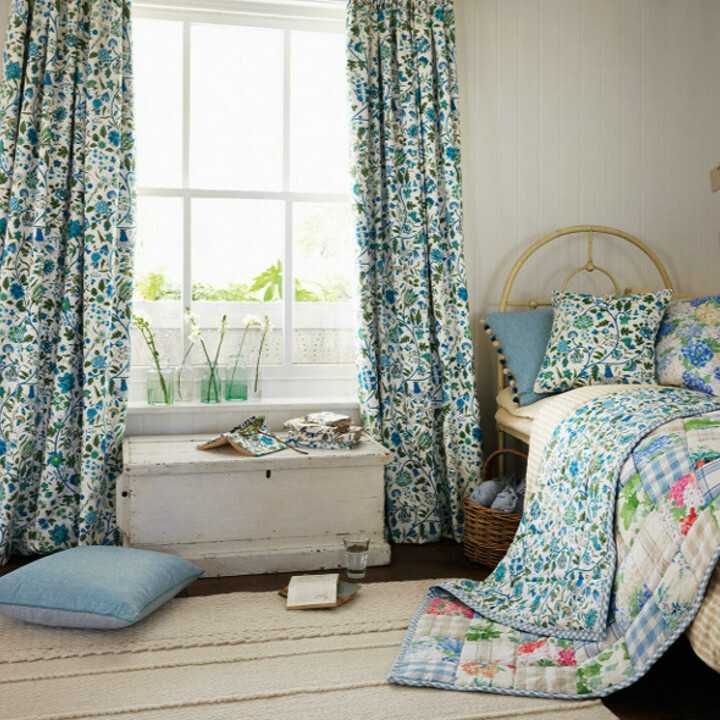 With beautiful blooms, this 100% cotton collection has an elegant, airy feel and the simple designs provide a hint of al fresco living. 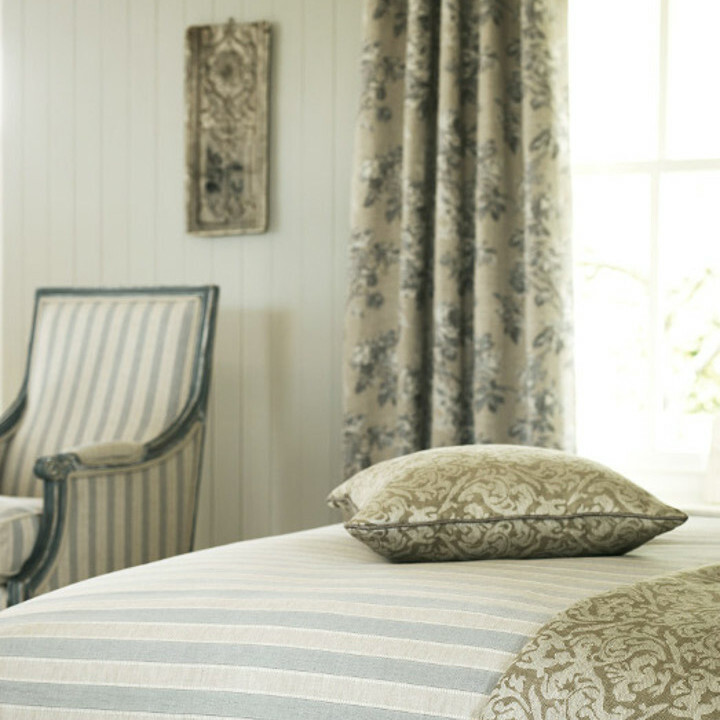 Maycott has been a big hit with our clients who have already fallen in love with some of the designs in this collection. 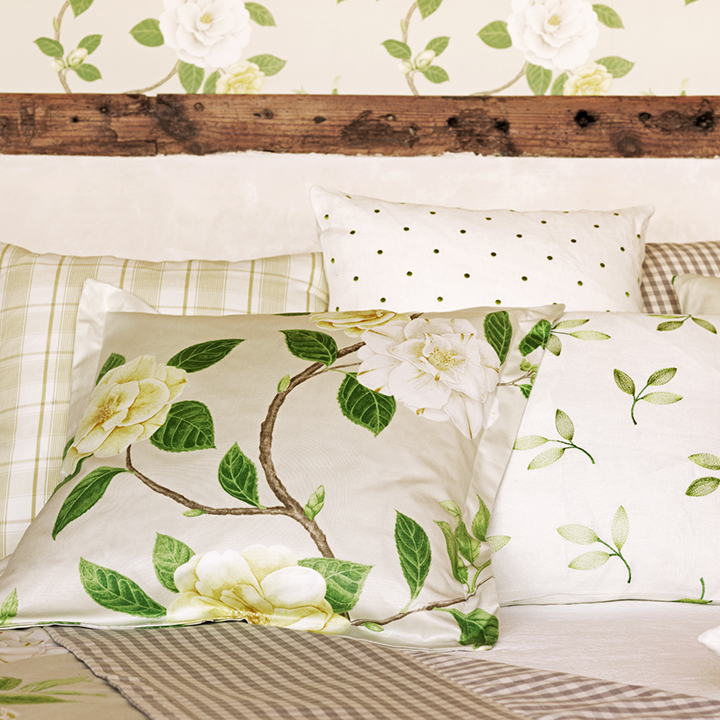 This classic collection consists of a delightful selection of medium scale botanical prints. 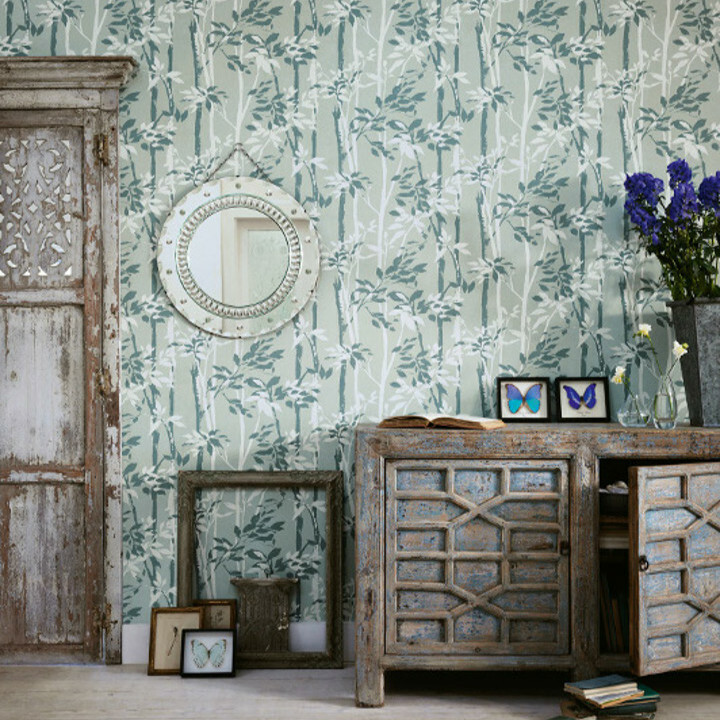 These include Amy, a design that features beautifully detailed fragments of ferns and branches against a plain background. 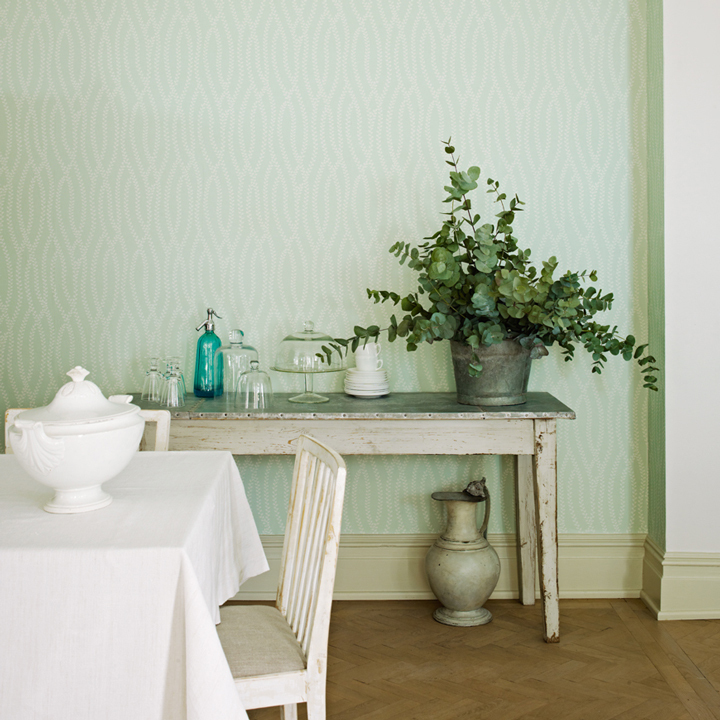 Angel Ferns is a simple repeat pattern inspired by botanical prints and features branches of ferns against a lightly coloured background and has a very fresh feel – it would be great as a feature fabric. 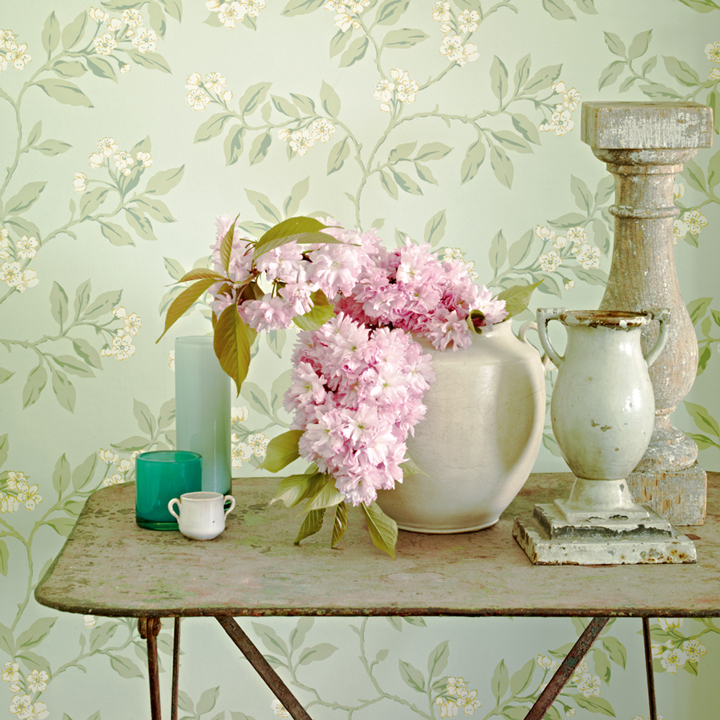 Cherry Bough and Primrose Hill are much more traditional floral designs which would work perfectly in a cottage or older Victorian or Edwardian home. 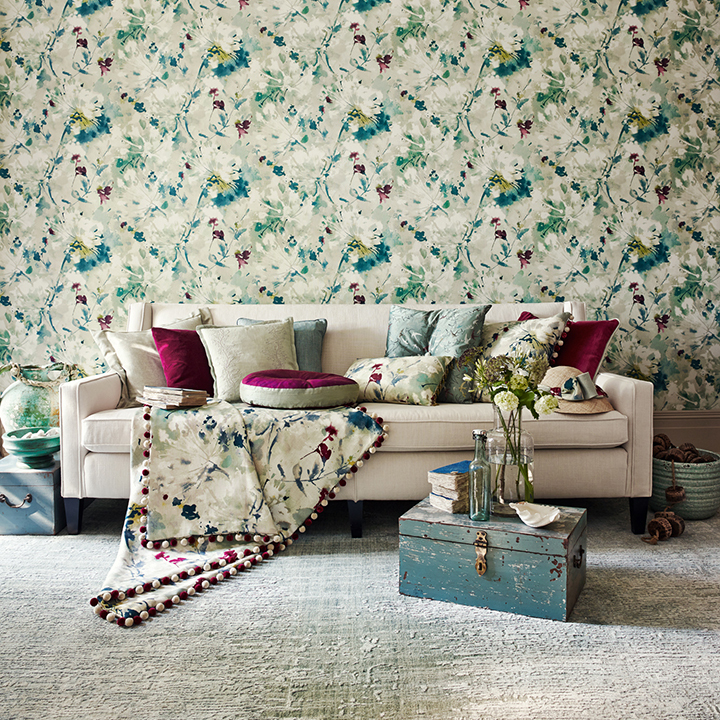 Sabine and Dancing Tulips have delicately painted flowers arranged in loose leafy trails. 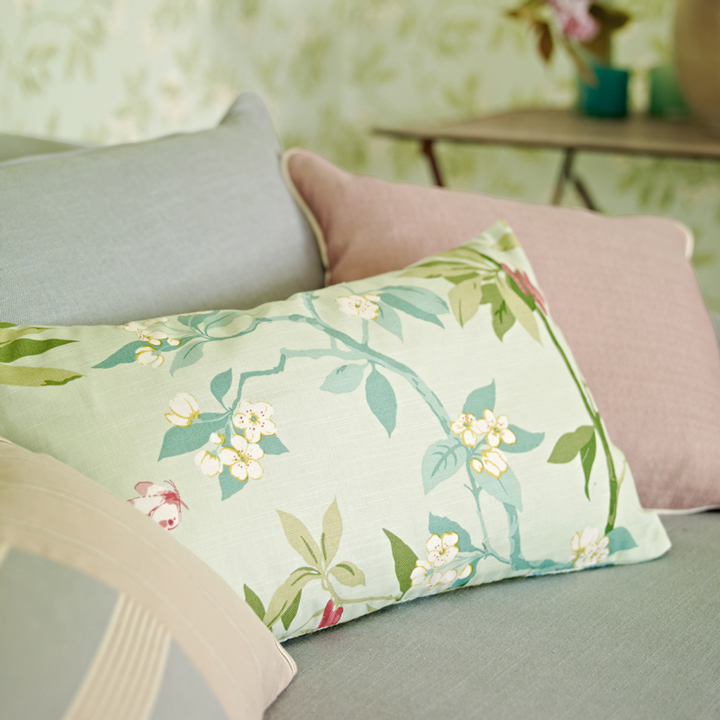 Lamorna consists of a beautiful vibrant camellia flower design which is very elegant and chintzy and has a very vintage feel to it. 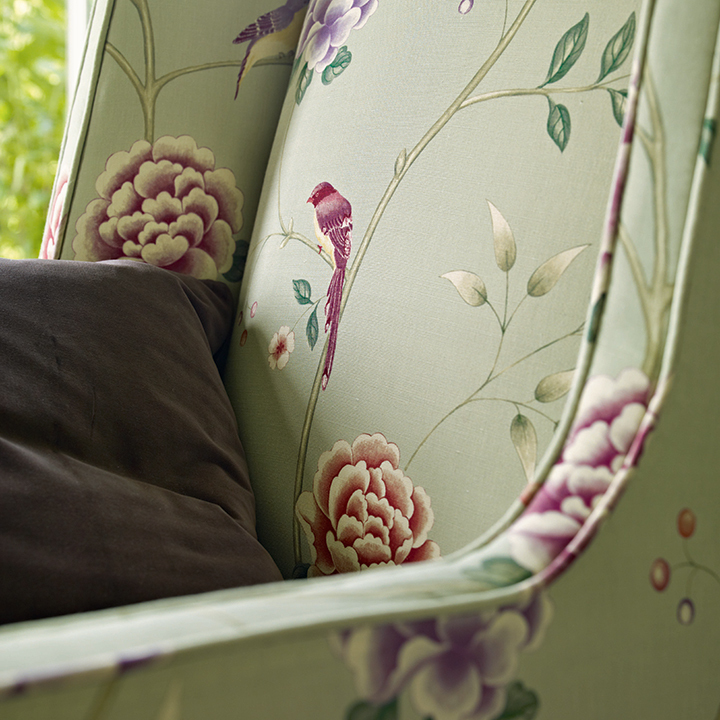 Similarly, Lilacs has a very romantic feel and is drawn in a very ‘al fresco’ style. 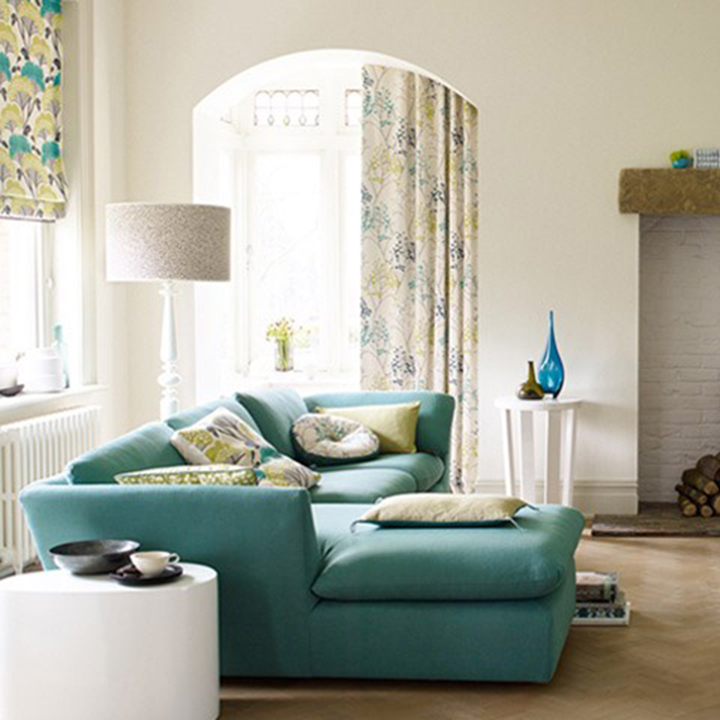 Each design is available in a variety of different colour choices which will allow you to create the perfect look for your home. 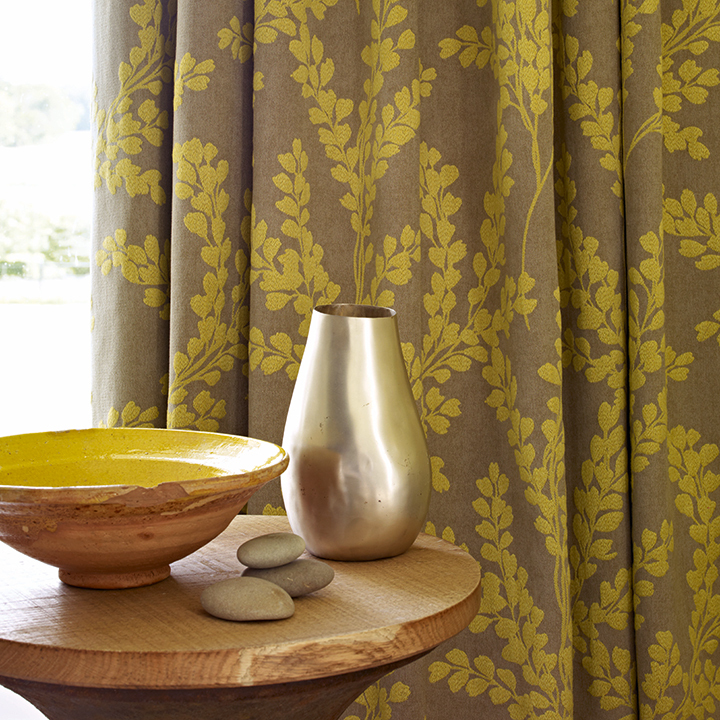 Fabric available at £29 per metre. 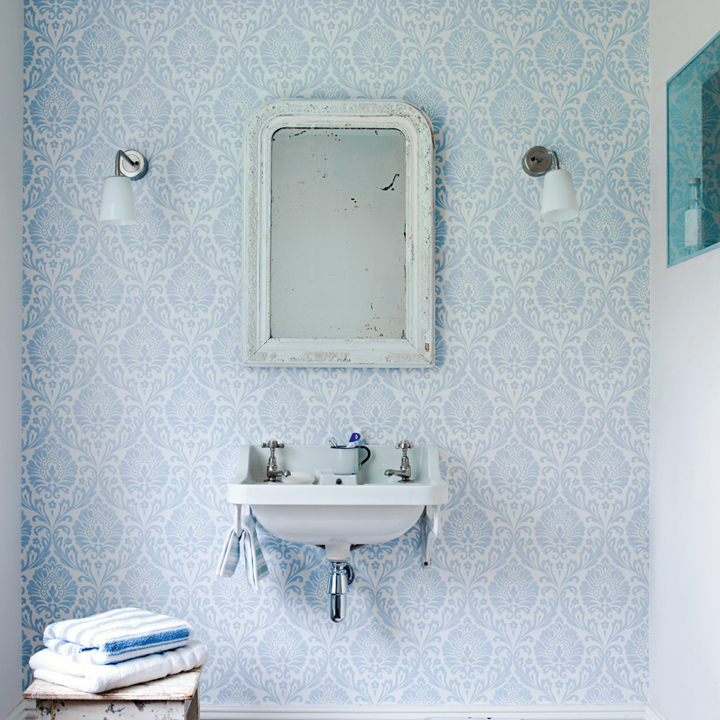 Wallpaper available at £29 per roll. Visit our showroom for more details. 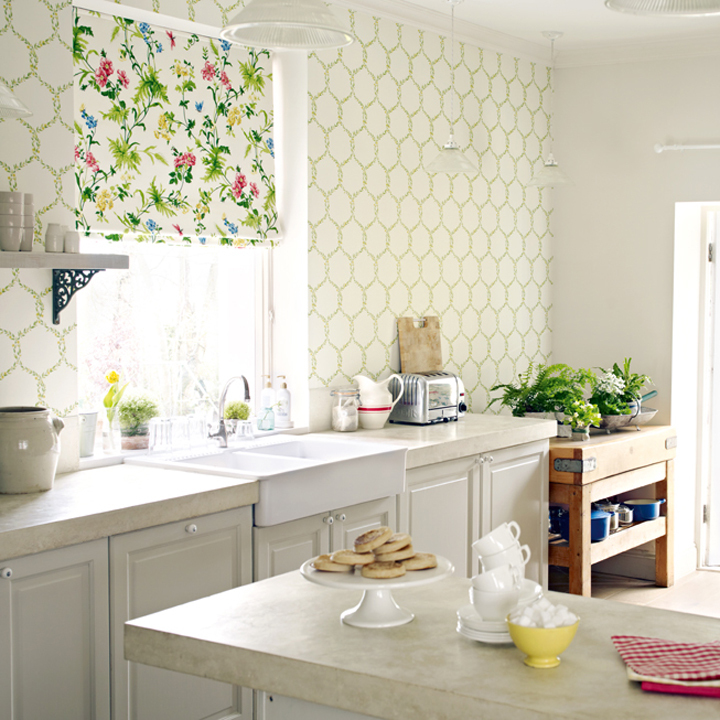 The Madison collection is bold, fresh, bright. 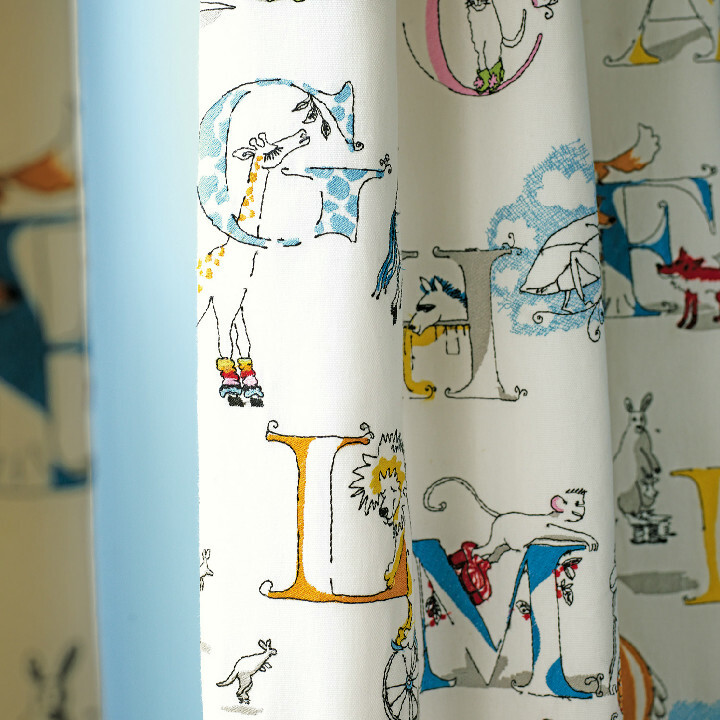 The designs are fun and playful, each inspired by nature. 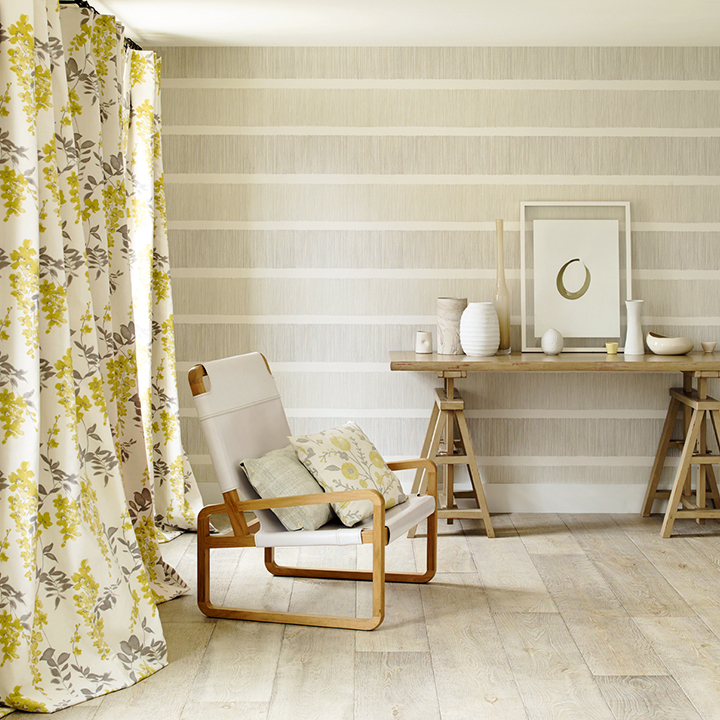 The collection draws inspiration from trees, leaves, flowers and grasses to create a vibrant and joyful contemporary style. 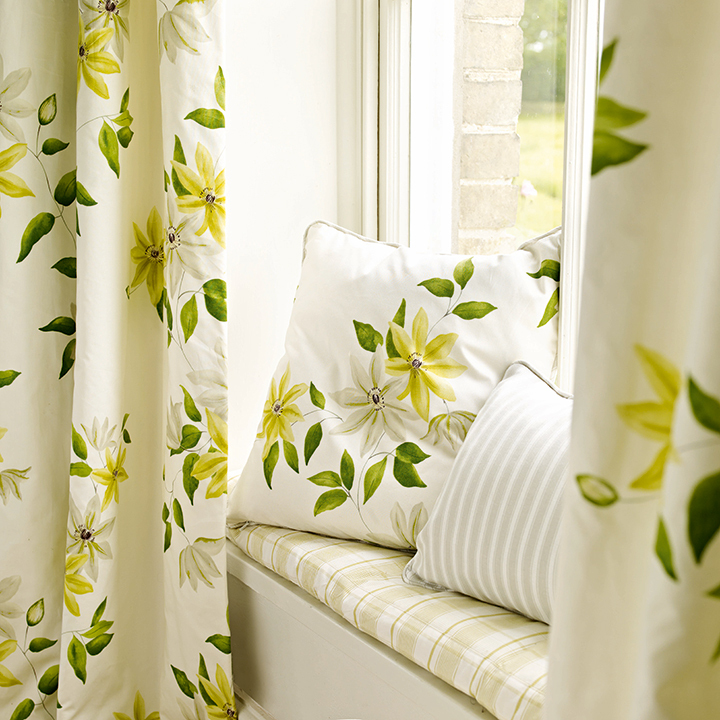 Most of the designs are medium scale which means that they are ideal for a wide variety of uses, from curtains and blinds to cushions and upholstery and especially our local style of homes in Essex. 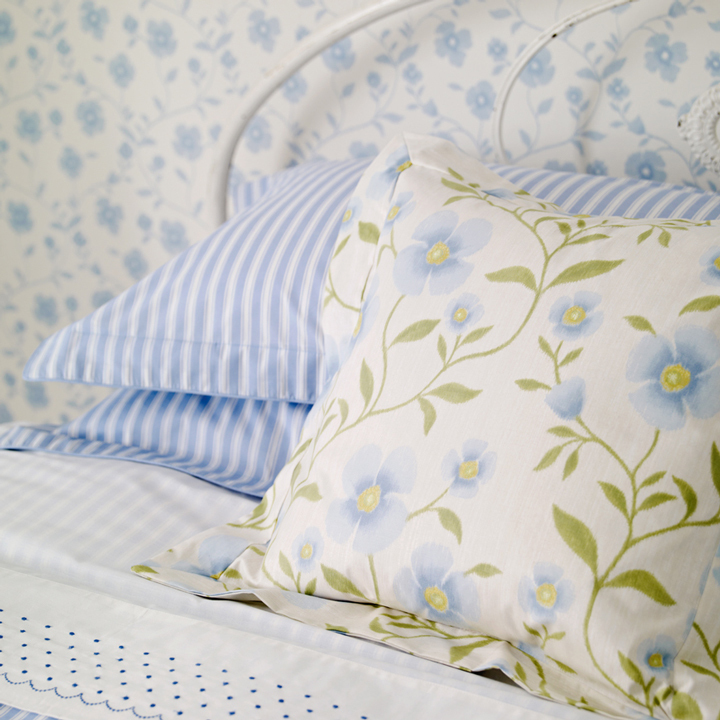 We particularly love the delicate, pretty trailing florals of Freya and the simplicity of Laurel. 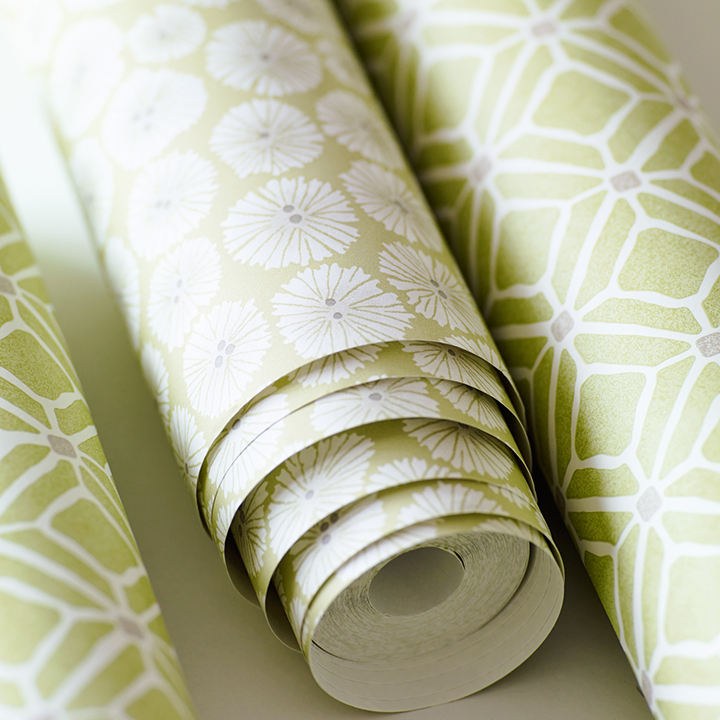 These would both look wonderful when combined with natural linen. 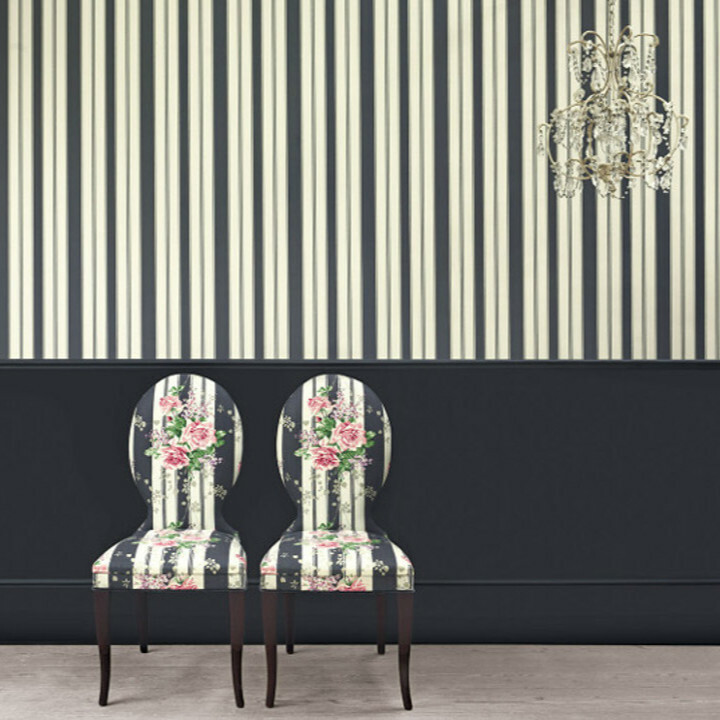 Ebba is a lovely fun multi coloured stripe, while Summer Meadow and Pippin are more stylised motifs with pops of colour. 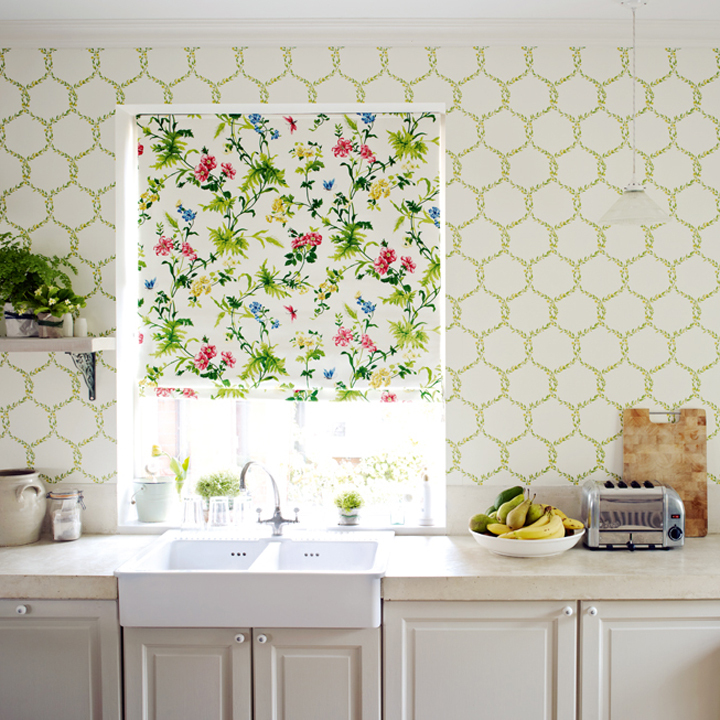 Ocelli and Asta are very organic small scale prints, both fresh and versatile. 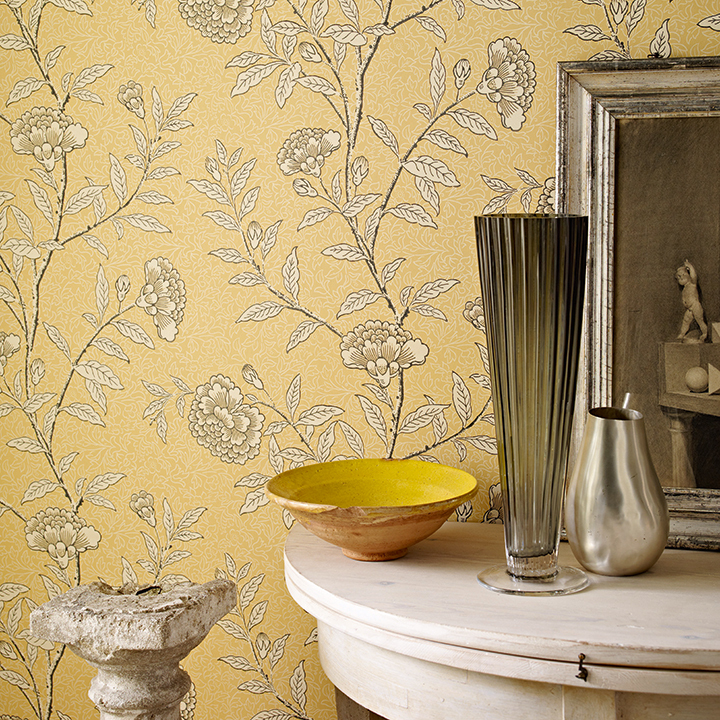 Olida brings a hint of romance to the collection with beautiful hand drawn floral trails, originally painted in oil. 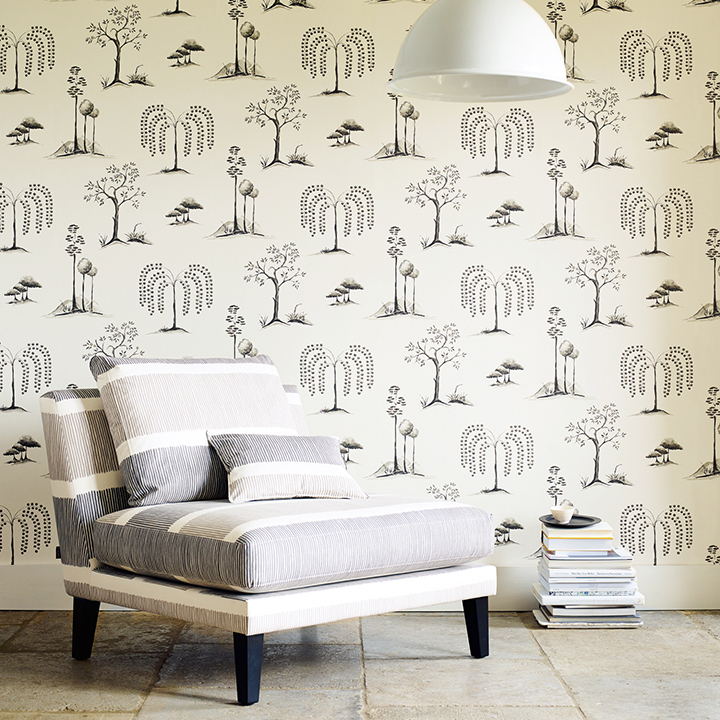 Tree Tops draws inspiration from Japanese design and the floral pattern of Myrtle is inspired by Scandinavian stencil cut-outs. 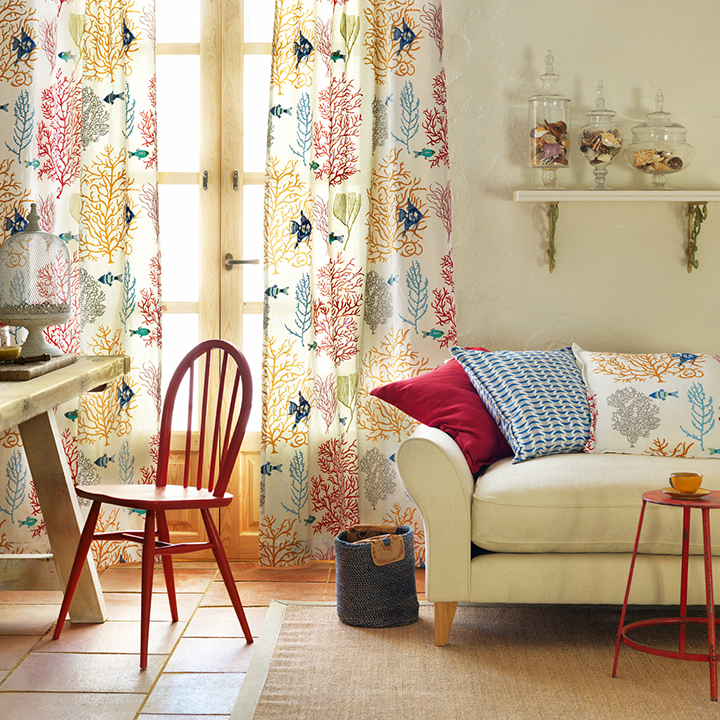 Starflowers is perhaps the most vivid design in the collection, a smaller scale print inspired by paper cuts in bold, bright colours which would look wonderful in a child’s room. 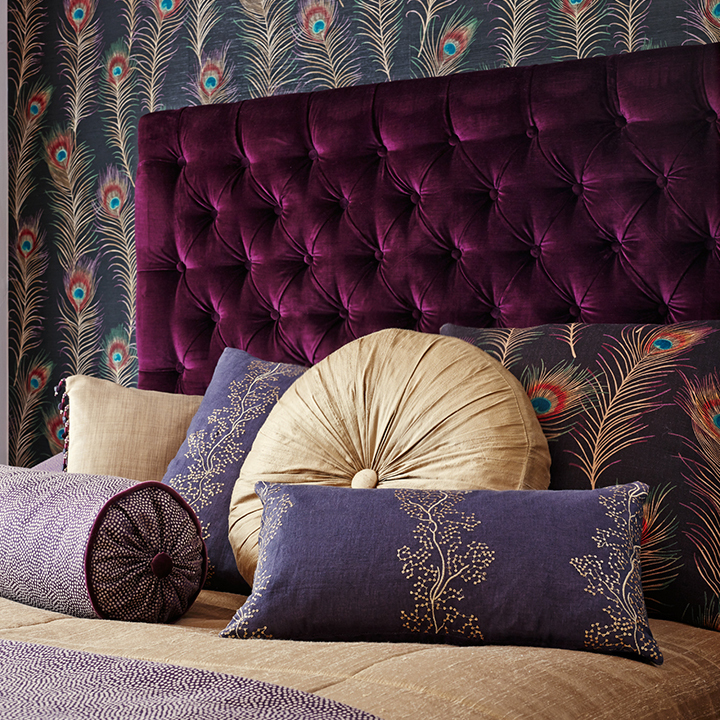 Although the inspiration for each design varies, this collection works exceptionally well together. 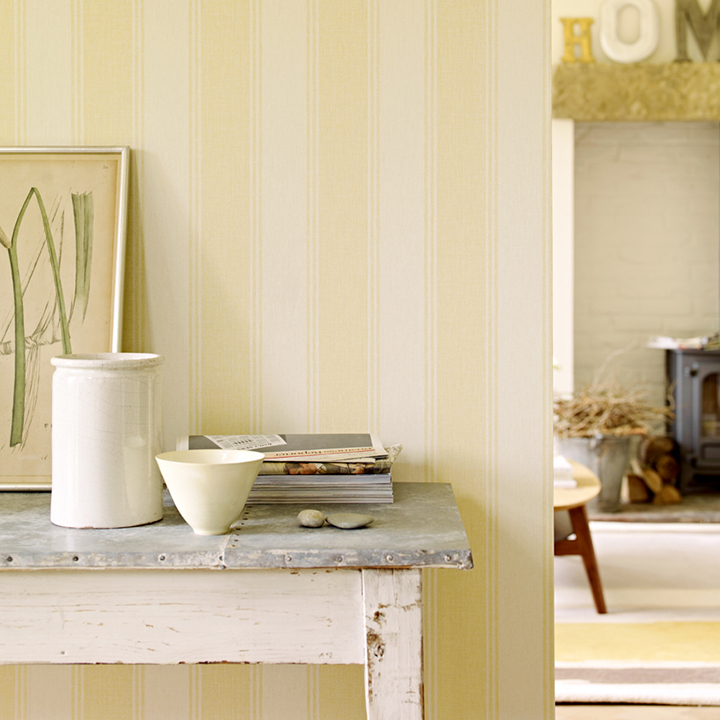 The fresh spring and summery colours give happy feel all year round. 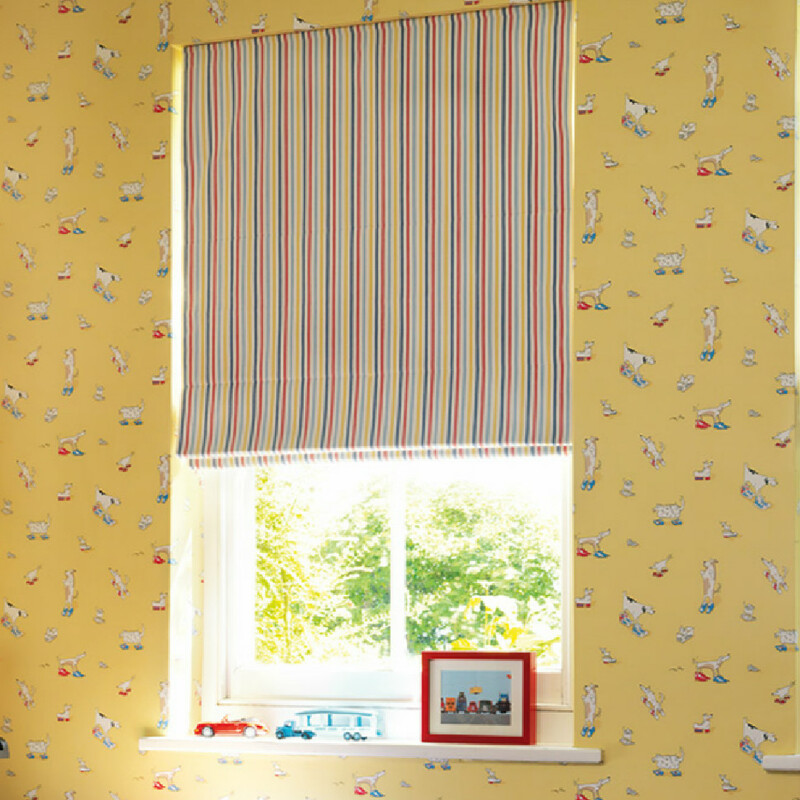 Each of these delightful designs are available in a range of different colours which makes it very easy to create different looks different styles of homes. 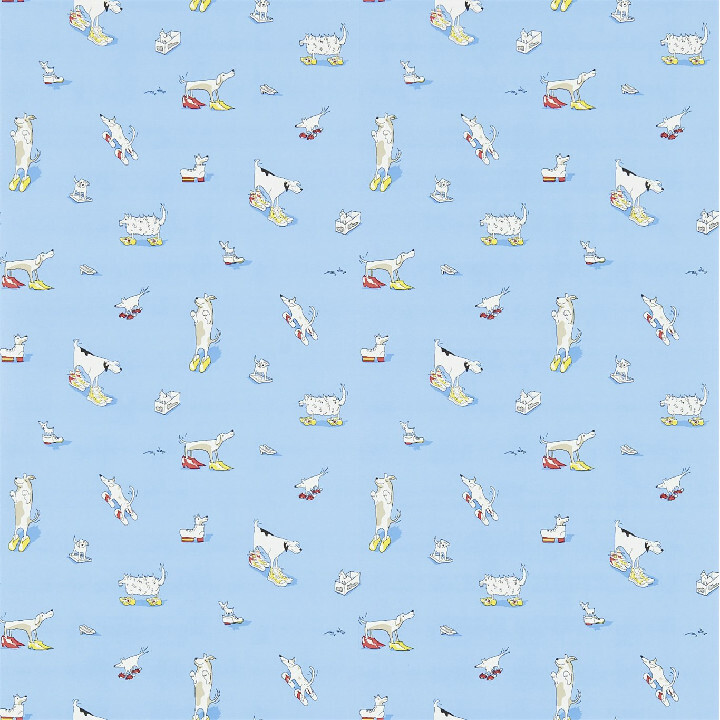 Fabric available at £29 per metre. 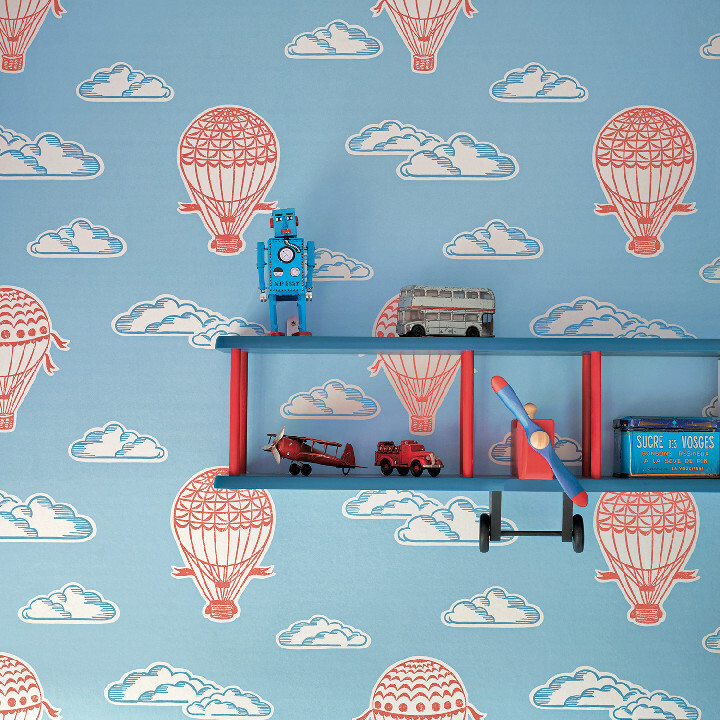 Wallpaper available at £29 per roll. Visit our showroom for more details. 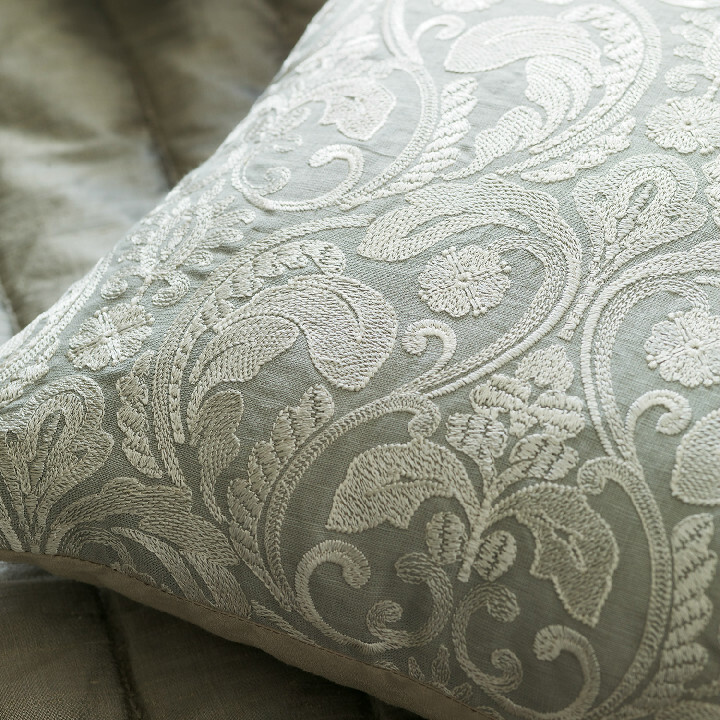 This two-part collection combines texture and delicate detail in a stunning collection of fabrics. 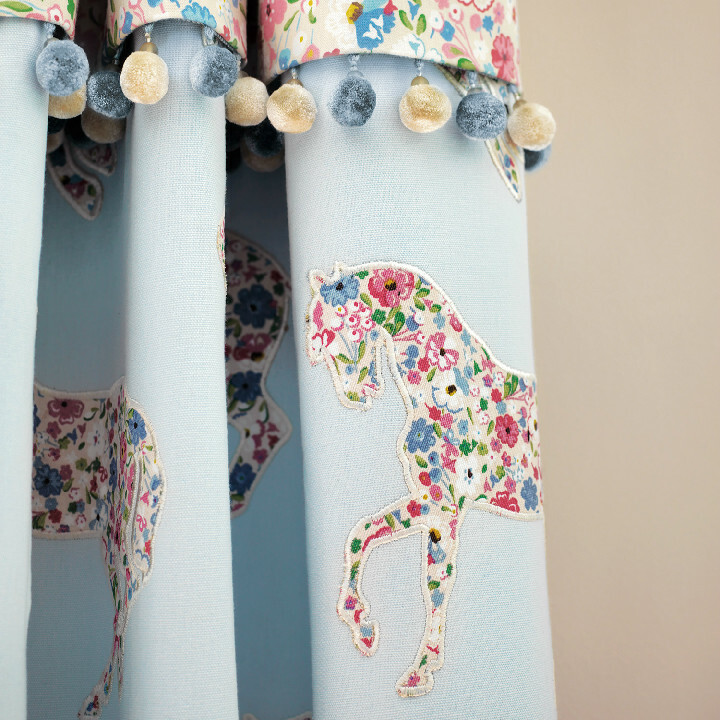 Consisting of prints and weaves, the designs use the latest technology in modern engraving and print techniques. Each has a very grand feel and stately air to them. 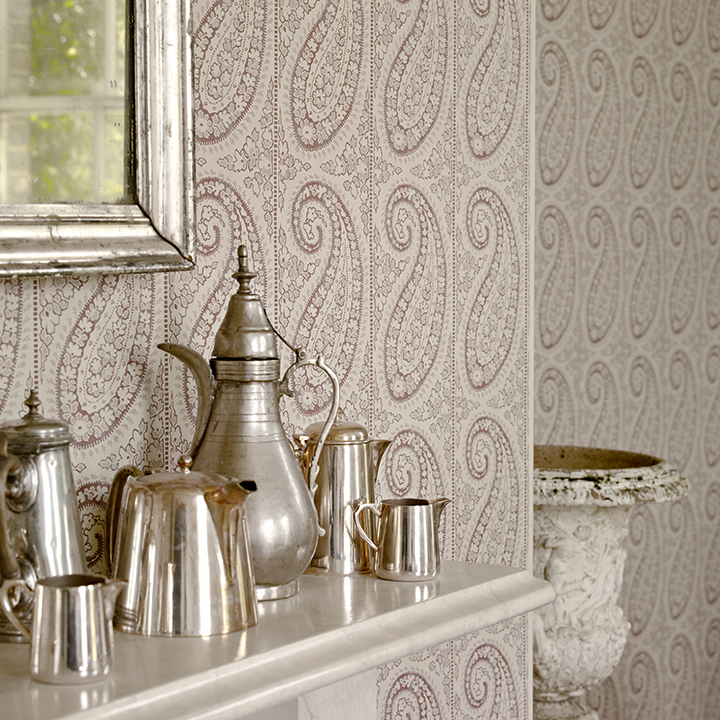 There is also complementary wallpaper range available. 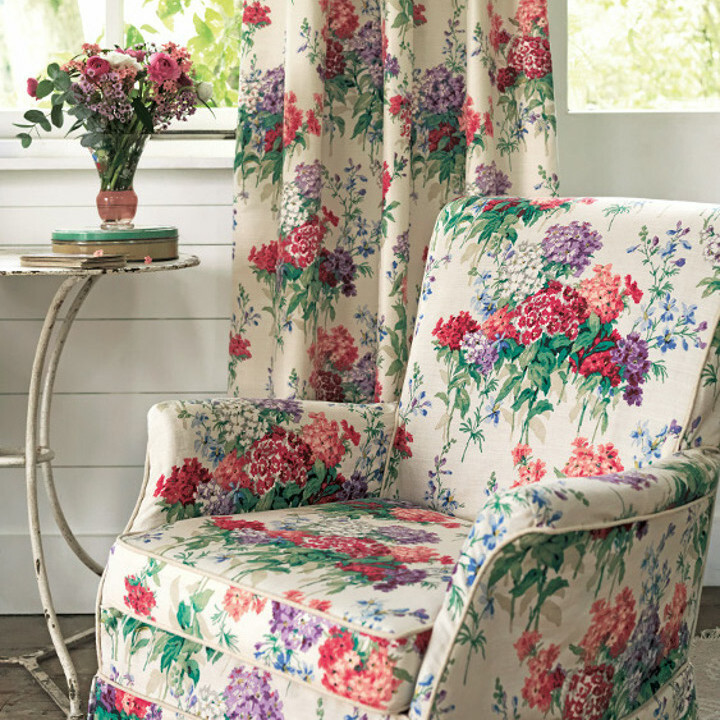 Richmond Hill Prints The Richmond Hill Prints collection features nine floral designs which work well on their own or combined with plain fabrics. 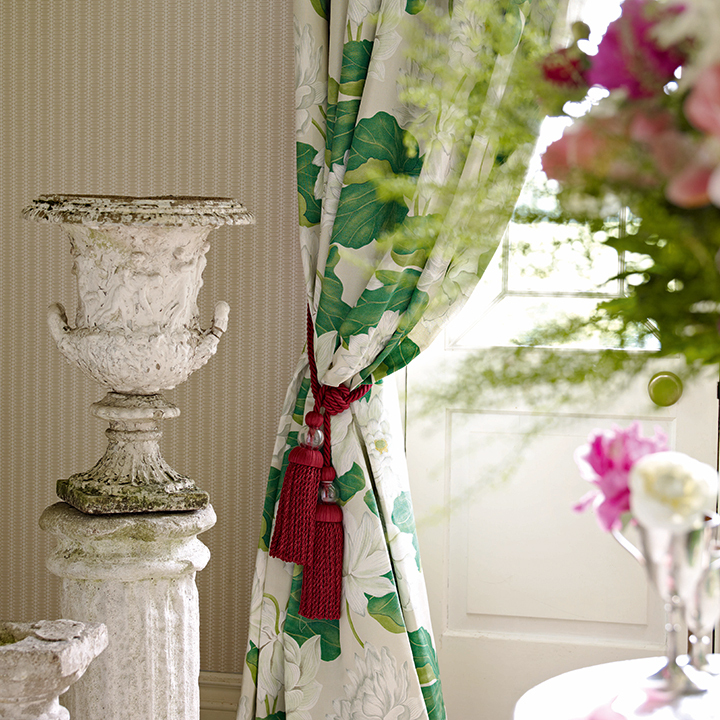 Each print has a hint of delicacy to it, whether it’s through the colours used or the hand drawn style of the design. 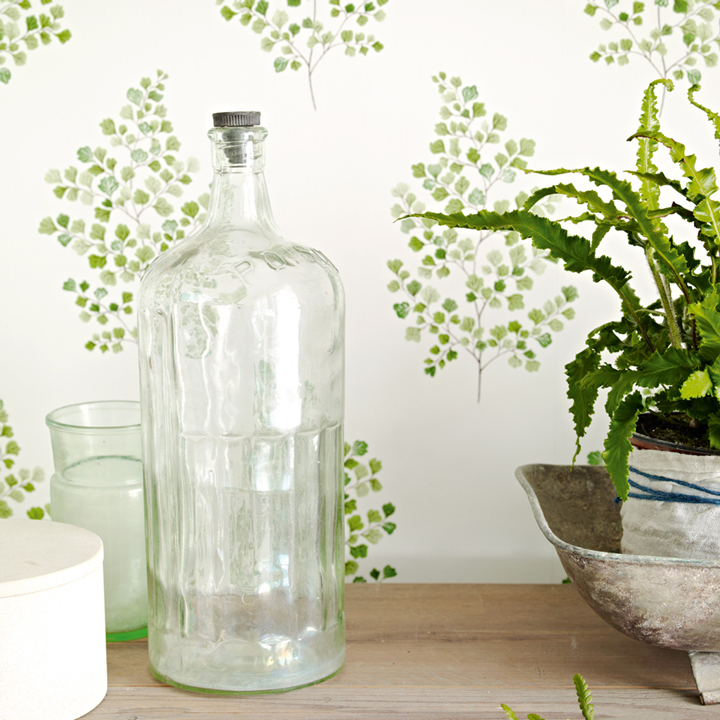 Box Hill is a subtle medium scale pattern of leaves on a textured background, whilst Kew is quite the opposite with big, bold blooms and leaves. 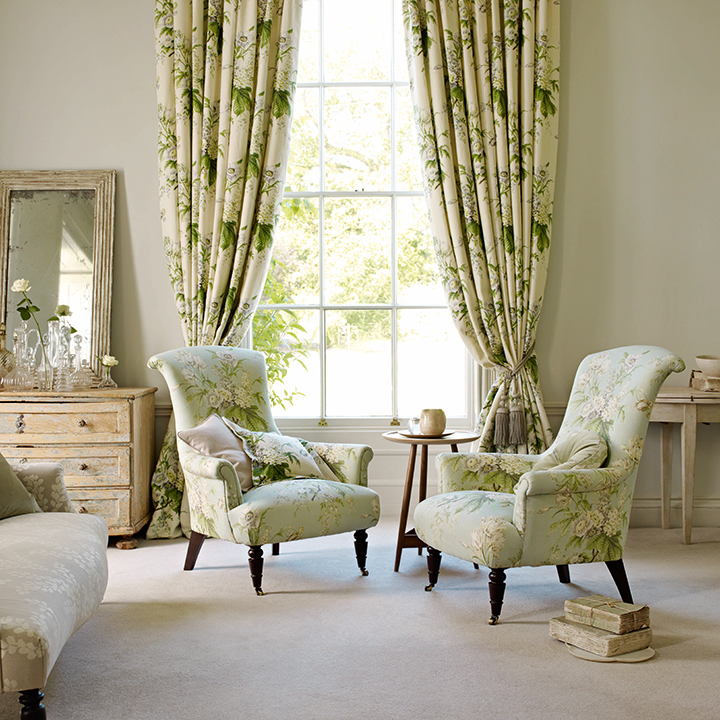 Oleander is the most contemporary of the designs using fresh whites and greens, whilst Wycombe oozes Jacobean charm. 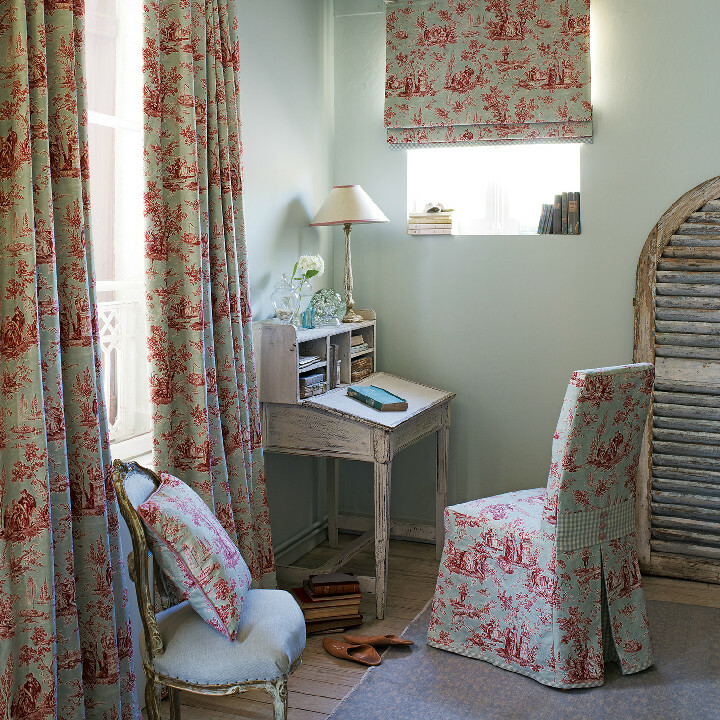 The floral trails of Tournier were inspired by 19th Century French archive prints, and Pavillion by 18th Century Chinoiserie wallpapers. 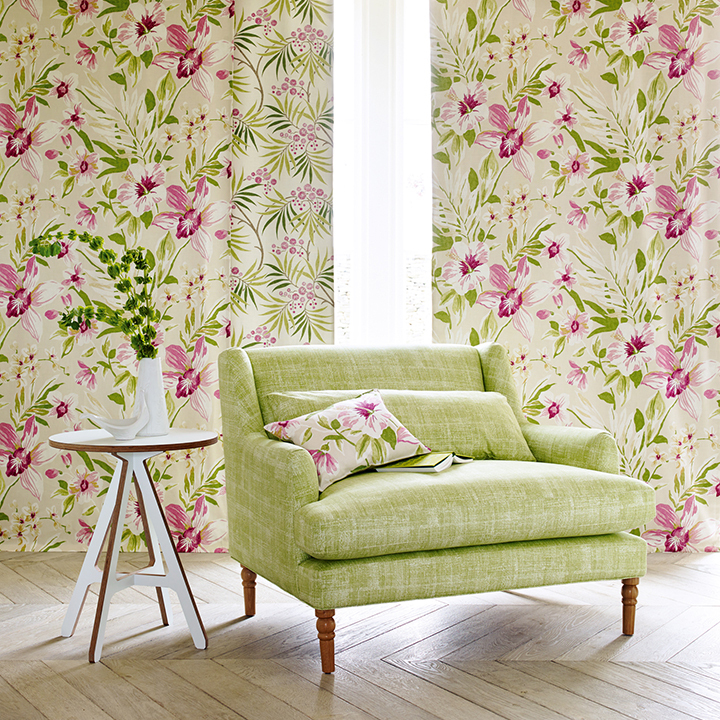 Sissinghurst has a very classic chintzy feel and the blooms of Wisley are very sunny and fresh. 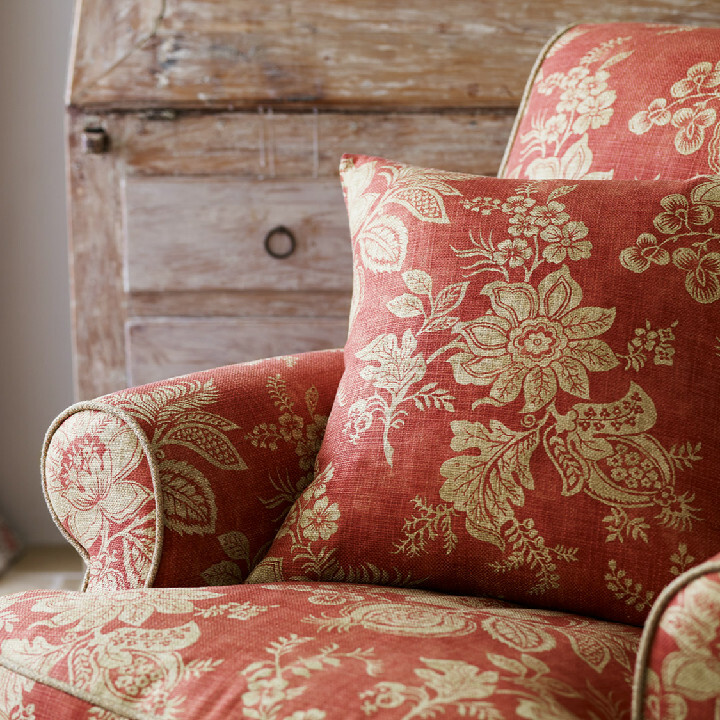 Hadham finishes off the collection nicely with an exquisite embroidered linen which has a very luxurious feel to it. 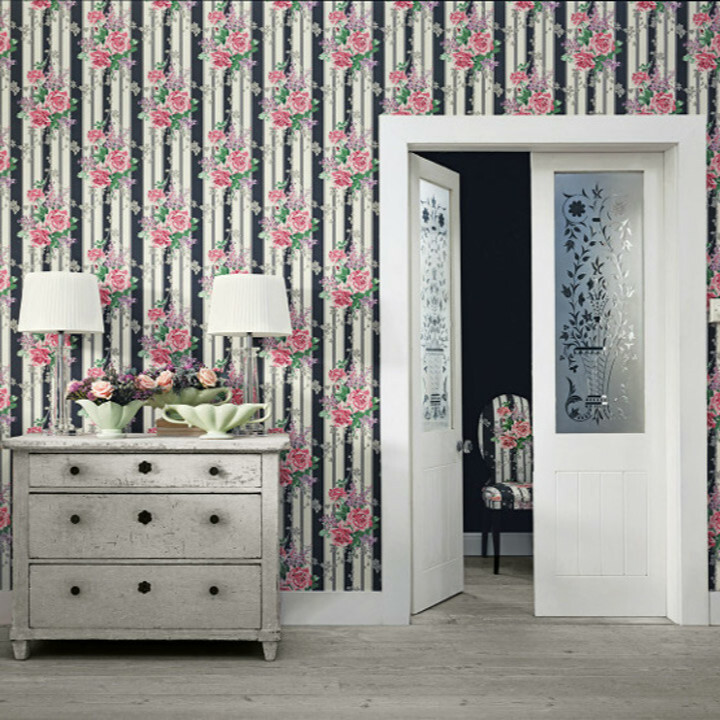 There is also a fabulous range of wallpapers available to perfectly complement the Richmond Hill fabrics, including some of the same designs. 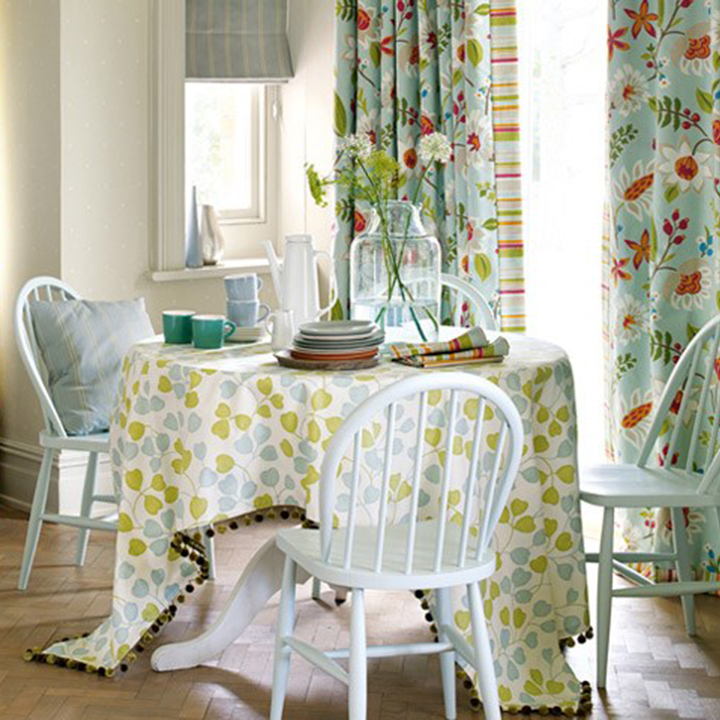 Fabric available by the metre. Visit our showroom for more details. 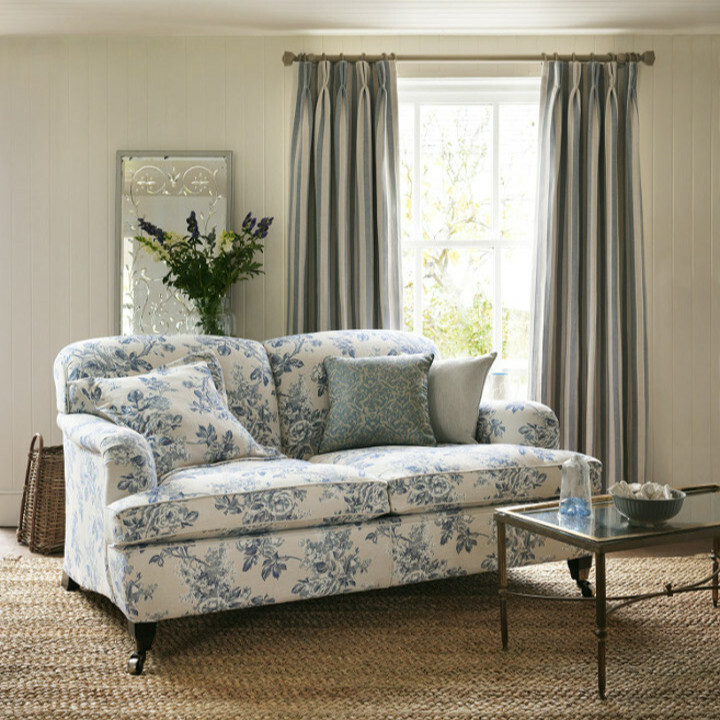 To view the full selection of Sanderson collections we offer please visit our showroom in Hatfields of Colchester, Essex or call 01206 571000 to speak to one of our experts. 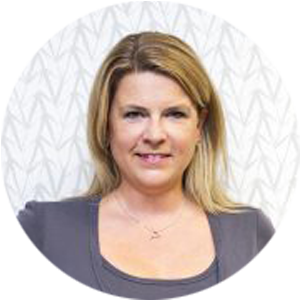 We are here to help you. 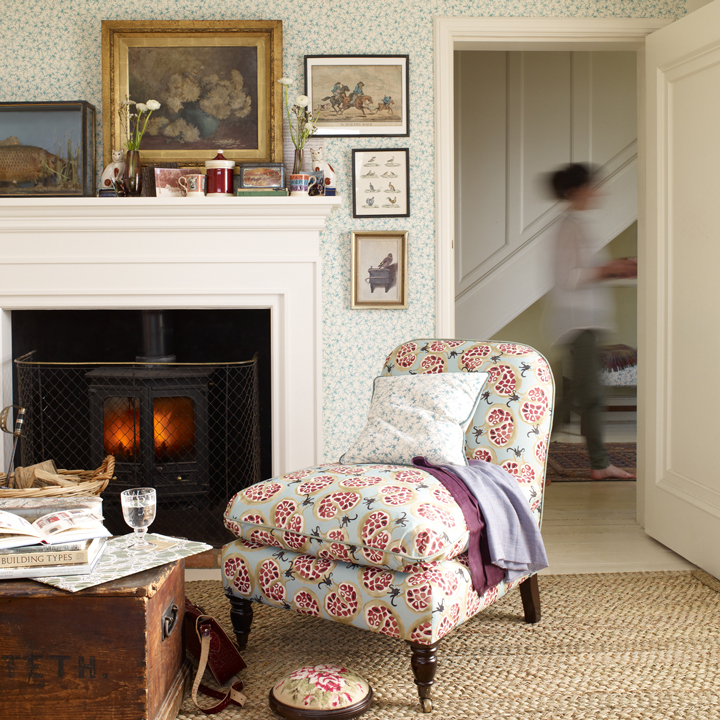 We can offer design advice, guidance on current trends and helpful tips for your interiors. Are you starting a new project? 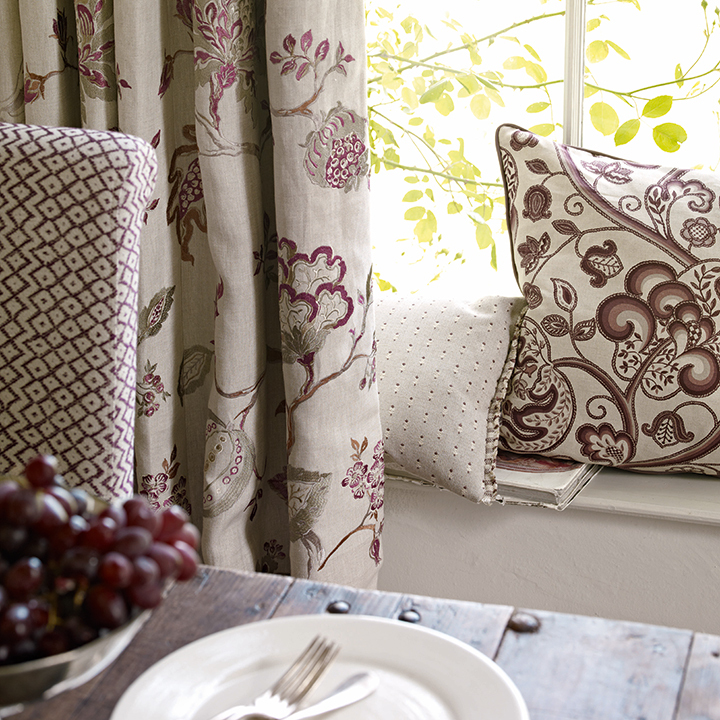 Thinking about new curtains, blinds reupholstering or wall coverings? 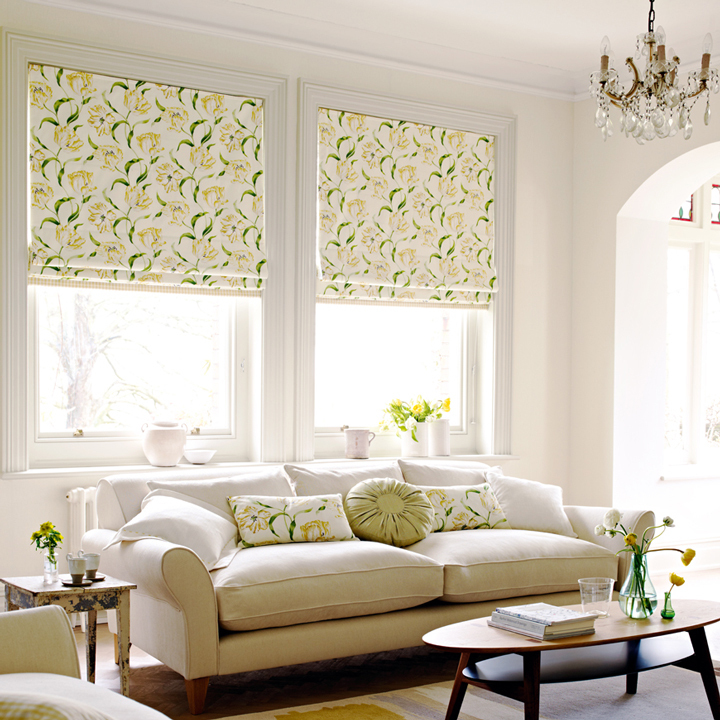 Let us know the details and we can guide you to the best styles, fabrics and fittings for you.